There were quite a number of local characters in the Town years ago; some who provided quite a useful service to the local community, many of the local tradesmen were household names and provided the townsfolk with many home made products. All these fine characters have now disappeared and the townsfolk still remember them with nostalgic pride, the laughter and service they once received from these characters of the past. Almost every community has one or two of them: persons who everyone knows, even if you have never spoken to them. No matter where they are, people are proud of their town’s characters. 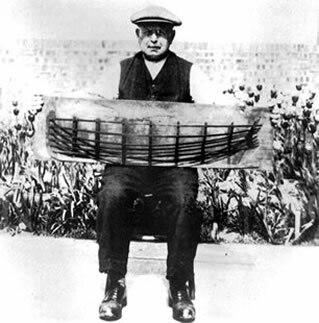 Born in 1884 Bert was a well-known Harwich character associated with the sea all his life. 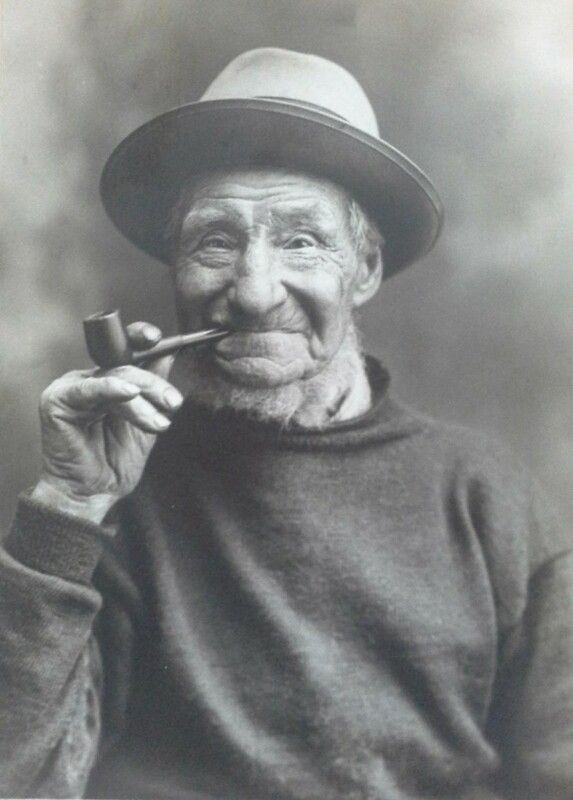 After leaving the Corporation School, about 1898 he started his seafaring life as a cabin boy in the old cod smacks, and later owned his own boat. He will also well known for acting as a pilot on board the famous ‘J Class’ yachts such as ‘Endeavour 1 in the Harwich Regattas. Tea millionaire, Sir Thomas was no stranger to Harwich he owned a shop in Market Street, (The International Tea Company) Lipton was born in Glasgow on 10 May 1848. His parents, Thomas Lipton senior and Frances Lipton), were Ulster-Scots, who came from county fermanagh. The Lipton’s had been smallholders in Fermanagh for generations, but by the late 1840s, Thomas Lipton’s parents had decided to leave Ireland and move to Scotland in search of a better living for themselves and their young family. By 1847, the Lipton’s had settled in Glasgow. Thomas Lipton was educated at St. Andrew’s Parish School close to Glasgow green between 1853 and 1863. By the early 1860s, his parents were the proprietors of a shop at 11 Crown Street in the Gorbals, where they sold ham, butter, and eggs. It was with the aim of supplementing his parents’ limited income that Thomas Lipton left school at the age of thirteen and found employment as a printers errand boy, and then as a shirt cutter. He also enrolled at a night school, the Gorbals Youth’s School, during this period. Lipton came to his home, Osidge, in Southgate, London, from muswell hill in 1892. Before moving in, he redecorated the house completely, built a new billiards room and moved the existing pathway as far away from the house as possible. Before the coming of the motor car, his home’s newly enlarged stables contained at least three pairs of fast carriage horses, of which he was proud. He was driven to his offices in City Road each day, and did not use the nearby railway. Sir Thomas Lipton helped medical voluntary organizations during World War I. He gave to disposal his yachts to Red Cross, Scottish Women’s Hospitals Committee of Dr. Elsie Inglis, Serbian Supporting Fund etc. for transport of medical volunteers (doctors and nurses) same as medical supply. During the winter 1914–1915 and spring 1915 in Serbia was several British i.e. Commonwealth hospital teams working together with Serbian military and civil doctors and nurses. Catastrophic typhus epidemic killed thousands of civilians, wounded and unwounded soldiers and war prisoners. But first victims were medical staffs. Sir Thomas Lipton went aboard his yacht Erin to Thessaloniki over Sardinia, Malta and Athens. The aim of his travel was Serbia at the moment when epidemic was at the top. He visited hospitals and medical missions in Belgrade, Kragujevac, Niš, Vrnjačka Banja and some more. He was very popular at the people due to his modest requests. He asked only for modest lodging, requested for meals only what common people eat in these war conditions. He liked to pose with Serbian officers and soldiers at photographs. Except he visited many hospitals encouraging doctors, nurses and soldiers, he found time to visit traditional fairs, to take a part in blackberry gathering and fishing. Sir Thomas Lipton was declared for the honor citizen of the town of Niš. 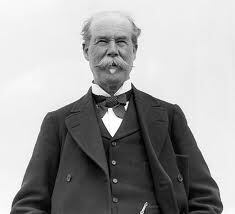 Thomas Lipton died at Osidge on 2 October 1931. He bequeathed the majority of his fortune to his native city of Glasgow, including his yachting trophies. 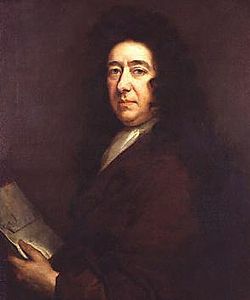 Samuel Pepys had been made a freeman, and with Sir Anthony Deane, was elected in 1679 as a Member of Parliament to represent the borough at Westminster. Their election was surprisingly easy in view of their close association with the King’s brother James, Duke of York, at the Admiralty, for he was a central figure in the fierce anti-Catholic feeling aroused by the Popish Plot of Titus Oates. Both Pepys and Deane had been sent to the Tower of London in May 1679 charged with selling naval secrets. They were released on bail and eventually cleared in June 1680. Pepys and Deane had been returned for Harwich at the election which followed the death of Charles II in 1685 but the fact that they served James when others were preparing to betray him, meant the end of their careers in Parliament and at the Admiralty. Christopher Jones was born in about 1570 in Harwich, Essex, England, the son of Christopher and Sybil Jones. Although not much is known about his early years, his career at sea truly began when he was bequeathed a ship, the Marie Fortune, after his father died. Jones married Sarah Twitt on 23 December 1593 and had one child. Sarah died young, possibly in childbirth and was buried on 23 May 1603 in Harwich. Jones married again later that year, on 2 November 1603, to Josian Grey, née Thompson (from Maldon in Essex), and shortly moved to Rotherhithe, London. It is believed that it was here that he became the owner of another ship and named it after his wife Josian, in honour of her and the eight children this marriage produced. In 1609, he became the master of the Mayflower, owning a quarter of it. The Mayflower was considered a sweet ship, because it generally transported spices and wine but in 1620, he was employed to take a number of Puritans to North Virginia to start a new Colony. On leaving Southampton on August 5 aboard two ships, the Mayflower and the Speedwell, they were forced back to port when the Speedwell began to leak. After repairs to the Speedwell a second attempt was made but had to return to port when ship began to leak again. 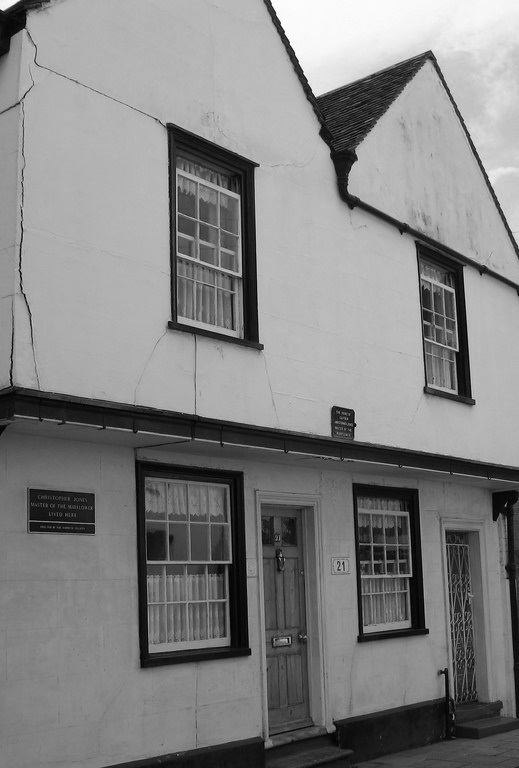 Christopher Jones lived at 21 King’s Head Street (Harwich) an Elizabethan house rebuilt in the 17th Century. Before the 17th century rebuilding it was possibly a larger house, extending towards the river. At that time the waterfront would have been much closer to the house than now as the quay has been rebuilt progressively further out into the river. 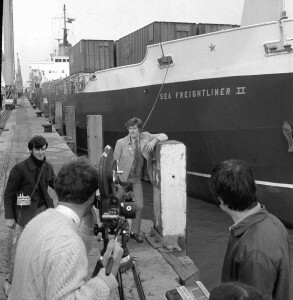 It is believed that Christopher Jones’s house was on the waterfront with its own quay and steps. About 1611, Jones decided to leave Harwich and moved south to London, where he made his home in Rotherhithe parish, a mile downstream on the Thames from the Tower of London. 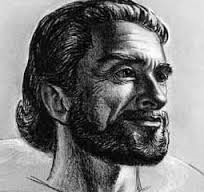 By that time, Jones had traded the ship Josian for a quarter-share in the smaller ship Mayflower. Eventually they abandoned the Speedwell, and a 102 Pilgrim’s departed from Plymouth aboard the Mayflower on September 6th 1620. Their intended destination was to be Virginia where they planned to start a new Puritan colony and after a journey of 66 days they made landfall at Cape Cod near present-day Provincetown, more than 600 miles off course. The Gulf Stream and winds had blown the Mayflower north of its original destination which was to be at the mouth of the Hudson River. Instead, they were facing the outer side of Cape Cod and legally, the passengers on board did not have a right to begin a colony in New England. The Captain had to make a decision; he could dock the Mayflower at Cape Cod or try to continue south to the mouth of the Hudson River. Though the shores of Cape Cod were in view, he decided to try to travel south to the Hudson as the winds were blowing in that direction and things looked favorable. The Mayflower was well under way when then the tides changed and the wind died. This had caused her to sail into an area of dangerous waters that had ever changing sand bars and shoals, known as the Pollack Rip and was located between Cape Cod and Nantucket Island. The Captain knew if he anchored here that they were in danger of running aground so needed to make another major decision on whether to turn back to Cape Cod or risk shipwreck. Fortunately, the wind had slowly changed to a Northerly direction and the Captain made the decision to return to Cape Cod where the Mayflower eventually anchored at Provincetown Harbor on November 11, 1620. The Mayflower left New England on April 5, 1621 and headed for home. Unfortunately, after a few more trading ventures to Spain, Ireland, and France, the Captain died and was buried at St. Mary’s, Rotherhithe, Surrey, England, on the fifth of March 1622. As a mark of respect for the man who had crossed the Atlantic and had enabled the Pilgrims to found their New Colony the Pilgrims named the river in nearby Kingston, Massachusetts after Captain Jones. Christopher Newport was christened in St. Nicholas’ Church, Harwich on December 29th 1561. after an adventurous seafaring career in the West Indies. In April of 1607 a small flotilla, comprising three ships, dropped anchor in Chesapeake Bay near the mouth of the James River. Harwich born Christopher Newport was overall captain of the vessels, which were the 20-ton Discovery, 40-ton Godspeed and Newport’s flagship, the 120-ton Susan Constant. 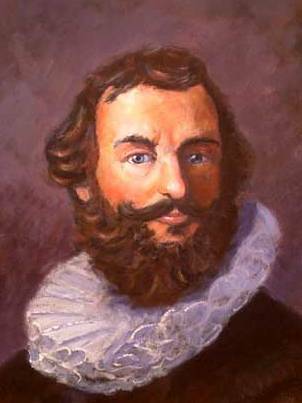 Previous expeditions had taken place during the preceding century by maritime luminaries such as Sir Walter Raleigh and Sir Humphrey Gilbert. In 1585 a fleet of seven ships set sail for Virginia. On board were hundreds of passengers including soldiers and potential colonists. Landing at Roanoke Island, they failed in their efforts to establish a permanent settlement due to disease, deteriorating relations with local Indians and eventual starvation. Work on building what was to become Fort James began immediately. However, the Englishmen were not prepared for that first humid summer, nor the low, swampy ground which soon proved to be infested with mosquitoes and deficient in clean water supplies. Perhaps the main problem with the Jamestown settlers was that very few of them had come to settle permanently. Most hoped to make a fortune from the gold and silver they had been told was there for the taking. On 22 June 1607, Captain Newport left the colony bound for London. Without the presence of Captain Newport, conditions deteriorated in the settlement. Most of the newcomers did not possess the necessary skill or knowledge to support themselves. Many of the colonists were upper-class English gentlemen and the colony lacked sufficient farmers and labourers who could produce enough food. Within a short time, disease, malnutrition and disagreement was rife in the new community and the death toll was high. In the spring of 1611 Christopher Newport left London bound for Virginia with a fleet of three ships. On board were Sir Thomas Dale, and experienced soldier and leader, with 300 men and ample provisions and livestock. It was Newport’s fifth and last voyage to Jamestown. In 1612 he entered the service of the East India Company and died at Bantam, Java, in August 1617 aged 57. Born Daniel Foe, was an English trader, writer, journalist, pamphleteer and spy, now most famous for his novel Robinson Crusoe. Defoe is notable for being one of the earliest proponents of the novel, as he helped to popularise the form in Britain, and, along with others such as Samuel Richardson, is among the founders of the English novel. A prolific and versatile writer, he wrote more than 500 books, pamphlets and journals on various topics (including politics, crime, religion, marriage, psychology and the supernatural). He was also a pioneer of economic journalism. In the 1720s Defoe visited Harwich and he said it was ‘a town of hurry and business, not much of gaiety and pleasure; yet the inhabitants seem warm in their nests and some of them are very rich’. Defoe was also impressed by Harwich harbour. He said it was ‘able to receive the biggest ships and the greatest number that ever the world saw together’. 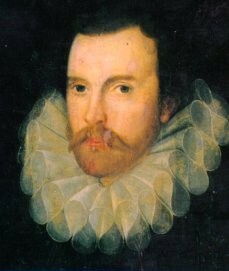 Edward Coke. 1 February 1552 – 3 September 1634) an English barrister, judge and politician considered to be the greatest jurist of the Elizabethan and Jacobean eras. Born into a middle-class family, Coke was educated at Trinity College, Cambridge before leaving to study at the Inner Temple, where he was called to the Bar on 20 April 1578. As a barrister he took part in several notable cases, including Slade’s Case, before earning enough political favour to be elected to Parliament, where he served first as Solicitor General and then as Speaker of the House of Commons. Following a promotion to Attorney General he led the prosecution in several notable cases, including those against Robert Devereux, Sir Walter Raleigh and the Gunpowder Plot conspirators. As a reward for his services he was first knighted and then made Chief Justice of the Common Pleas. The 1597 Charter drawn up by Edward Coke re-iterates and reasserts all the rights as Lord of the Manor assigned to the Duke of Norfolk and its ratification by Queen Elizabeth. Coke appoints eight named deputies who are to act for him Raymond Knight, Thomas Twitt Daniel Richmond, John Hankin, Thomas Thompson, John Gray the Elder, Henry Hankin and Robert Ruffle. These are merchants and mariners from Harwich. Several names stand out on that list – Thomas Twitt whose daughter Sara was to marry Christopher Jones, and John Hankin who would be the future first Mayor under the 1604 Charter. 1600 brought a revised constitution to Harwich. The number of deputies was increased to twelve. The newcomers were William Smyth, James Barker, Thomas Gray and Thomas Shrive. Governance lay with two head burrows Raymond King and John Hankin, serving for one year to “Be assisted by the remainder”. Arrangements were made for regular meetings with fines for non-attendance. This group of deputies was known as the Court of Common Council and their proceedings were recorded in a Minute Book. William Edward Green was born on 7 September 1855, in Bristol. In 1869 he became an apprentice to a photographer named Maurice Guttenberg. By 1875 he had set up his own studios in Bath and Bristol, and later expanded his business with two more studios in London and Brighton. He married Helena Friese on 24 March 1874, and decided to modify his name to include her maiden name. from 1897 to 1904 he lived at 5 Cliff Road, Dovercourt Having moved from London with his second wife Edith and two young children in January 1897, preferring to live in a coastal place, for their first child’s benefit. They stayed there until 1904. On 21 June 1889, Friese-Greene was issued patent no. 10131 for his ‘chronophotographic’ camera. It was apparently capable of taking up to ten photographs per second using perforated celluloid film. 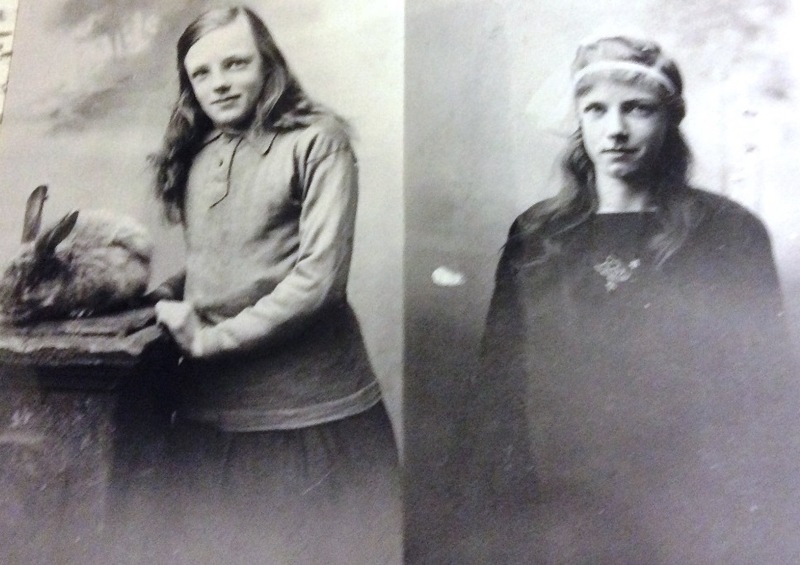 In the early 1890s he experimented with cameras to create sterereoscopic moving images but met with limited success. 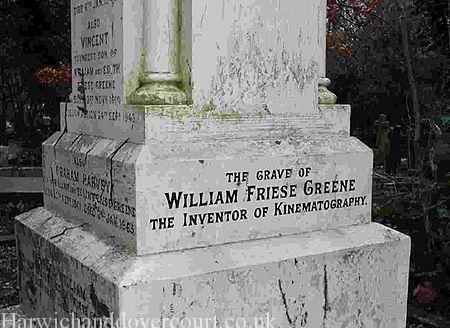 Friese-Greene’s experiments in the field of motion pictures were at the expense of his other business interests and in 1891 he was declared bankrupt. To cover his debts he sold the rights to the ‘chronophotographic’ camera patent for £500. The renewal fee was never paid and the patent eventually lapsed. Friese-Greene’s later exploits were in the field of colour in motion pictures. Working in Brighton, he experimented with a system known as Biocolour. This process produced the illusion of true colour by exposing each alternate frame of ordinary black and white film stock through two different colored filters. Friese-Greene’s later exploits were in the field of color in motion pictures. Working in Brighton, he experimented with a system known as Biocolour. This process produced the illusion of true color by exposing each alternate frame of ordinary black and white film stock through two different colored filters. Each alternate frame of the monochrome print was then stained red or green. Although the projection of Biocolour prints did provide a tolerable illusion of true color, it suffered from noticeable flickering and red and green fringing when the subject was in rapid motion. Friese-Greene found it impossible to exhibit Biocolour motion pictures because a rival system—developed by George Albert Smith and Charles Urban and known as Kinemacolor – claimed that any color film was an infringement of their prior patent. With the financial assistance of the renowned British racing driver Selwyn Francis Edge, Friese-Greene attempted to invalidate Urban’s patent in court. Friese-Greene claimed that the patent did not contain enough detail to encompass the Biocolour process. The judge ruled in Urban’s favor, but an appeal in the House of Lords in 1914 reversed the decision. Friese-Greene’s system was still in its infancy and he was unable to exploit this success. 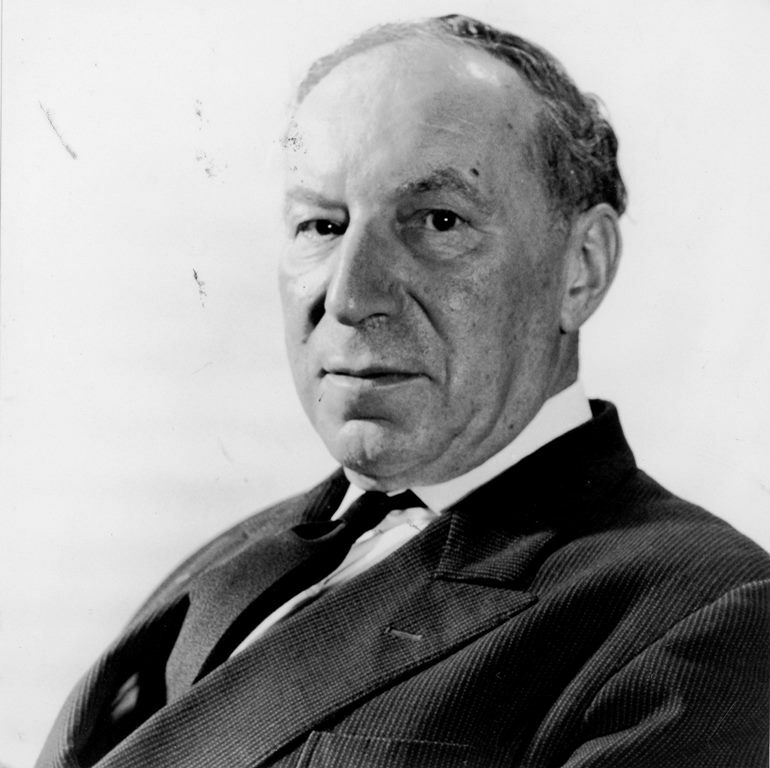 His son Claude Friese-Greene continued to develop the system during the 1920s. Claude went on to become a successful cinematographer. Grave at Highgate Cemetery, London. In 1921 Friese-Greene was attending a film and cinema industry meeting in London. 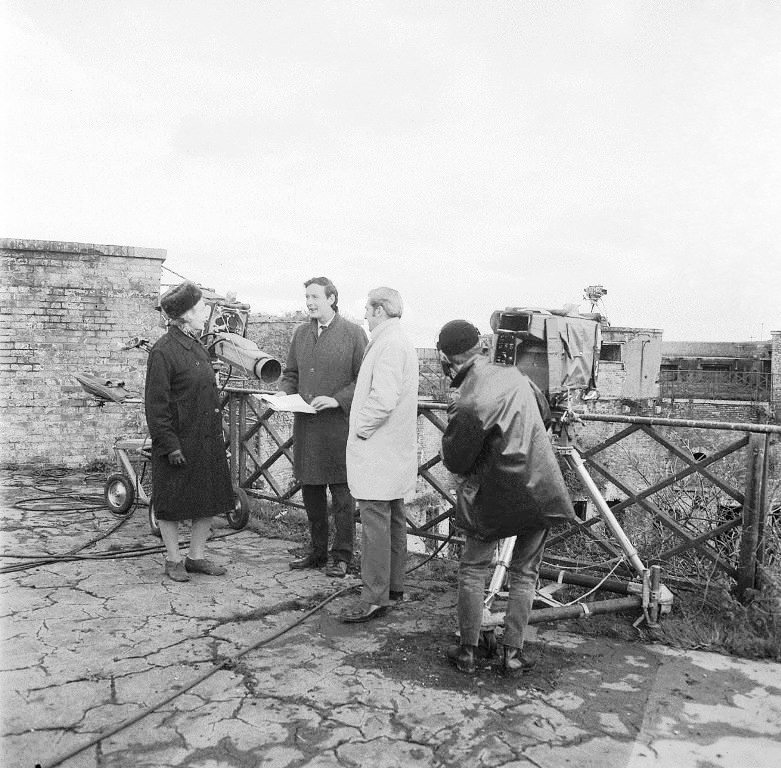 The meeting had been called to discuss the current poor state of the British film industry. Disturbed by the tone of the proceedings Friese-Greene got to his feet to speak but soon became incoherent. He was assisted in returning to his seat, and shortly afterward slumped forward and died. His grave can be found in London’s Highgate Cemetery. A memorial designed by Edwin Lutyens describes him as “the inventor of Kinematography”. Four generations were present when a plaque to commemorate the inventor of cinematography was unveiled in Dovercourt. About 15 of his descendants attended the ceremony when Mr. Anthony Friese-Greene, a produce and critic on BBC radio, unveiled the plaque that had been put up by the Harwich Society. “I think you will know my grandfather went through many vicissitudes, but it’s nice to think that here were spent some of his happiest years,” said the inventor’s grandson. 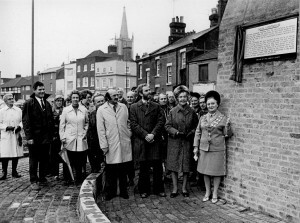 Mrs. Winifred Cooper chairman of the Harwich Society, in introducing the guest, the inventors grandson, said that was the first plaque that the society had put up in Dovercourt. 17th century mayor of Harwich, naval architect, Master Shipwright and commercial shipbuilder, and Member of Parliament… There is some doubt as to his origins. The Dictionary of National Biography states that he was born circa 1638 and was elder son of Anthony Deane, mariner of Harwich. There was an Anthony Deane son of Anthony Deane, mariner, who was baptized in Harwich in 1644. His parents married in 1641/2 and his pedigree may be traced from the parish records of Harwich so he cannot be the same Anthony as discussed in this entry. In a document of 1683, Sir Anthony is described as “son of Anthony Deane, of London, gent. and grandson of Anthony Deane of Gloucester.” Sir Anthony Deane was apprenticed to Christopher pett, the Master Shipwright at woolwich dockyard, and in 1660 he was the Assistant Master Shipwright there. 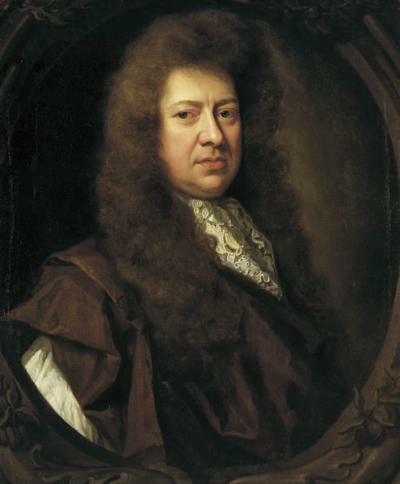 In August 1662 he first met Samuel Pepys, the Clerk of the Acts and member of the naval board, who found him intelligent and knowledgeable, and became his patron. In October 1664 he was appointed Master Shipwright at Harwich dockyard on Pepys’s recommendation. 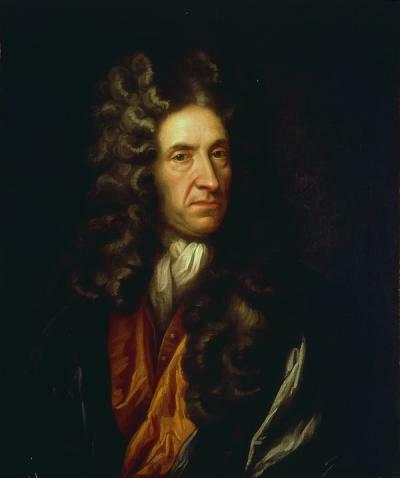 Deane was one of the earliest to apply scientific principles to the building of naval vessels, and between 1666 and 1675 he designed and built 25 vessels for the royal navy. Harwich Dockyard was closed in 1668, following the end of the second Anglo Dutch war, and Deane was appointed Master Shipwright at Portsmouth. In 1672 he was promoted to become Commissioner at Portsmouth, thus becoming a member of the Navy Board. No longer responsible for shipbuilding at Portsmouth, he still was able to build several ships as a private contractor, mainly at Harwich but also at Rotherhithe. In 1673 he was knighted and appointed Controller of the victualing accounts. In the same year, as an alderman of Harwich, he funded the construction of a new gaol and guildhall in the town. He was also an alderman of the city of London. He became Mayor of Harwich in 1676, and he and his patron Samuel Pepys were the MPs for Harwich in Charles II’s third parliament (which sat from 6 March 1678 and formed part of the Cavalier parliament). They were returned for the 1679 Parliament despite both being accused of leaking naval intelligence to France, and being on 9 July 1679 brought before the King ’s Bench at Westminster on a charge of treason and imprisoned in the tower of London, but failed to appear for trial at a later date. The charges were not pressed, and on 14 February 1680 the pair was released from their bail. For the next few years Deane continued his successful career as a private shipbuilder. He married twice; firstly to Ann Prowse, a widow who bore him four sons and a daughter and secondly to Christian, the widow of Sir John Dawes who bore him a son and a daughter. Born on 20 February 1843 at Strabane, County Tyrone, Ireland. He was the son of James Hamilton, 1st Duke of Abercorn and Lady Louisa Jane Russell. He married Carolina Chandos-Pole, daughter of Edward Sacheverell Chandos-Pole and Lady Anna Caroline Stanhope, on 20 July 1878. He was educated at Harrow School, Harrow on the Hill, London. He held the office of High Steward of the Borough of Great Yarmouth and of Harwich. 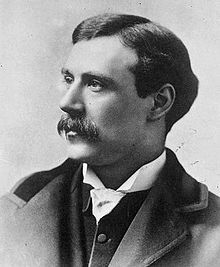 In 1865 he became Conservative MP for Londonderry City until 1868 when he was appointed a Lord of the Treasury in Benjamin Disraeli’s first ministry. 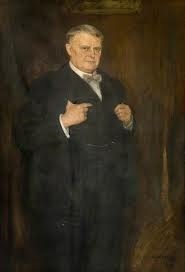 In 1869, he became MP for King’s Lynn until 1880, for Liverpool from 1880 to 1885, for Liverpool West Derby from 1885 until he resigned his seat in 1888.Cchairman of the Great Eastern railway from 1892 until it was absorbed into the LNER in 1923. In 1919 he became High Steward of Harwich. Lord Claud had been an aide-de-camp to Queen Victoria from 1887 to 1897 and was appointed to the Privy Council in 1917. 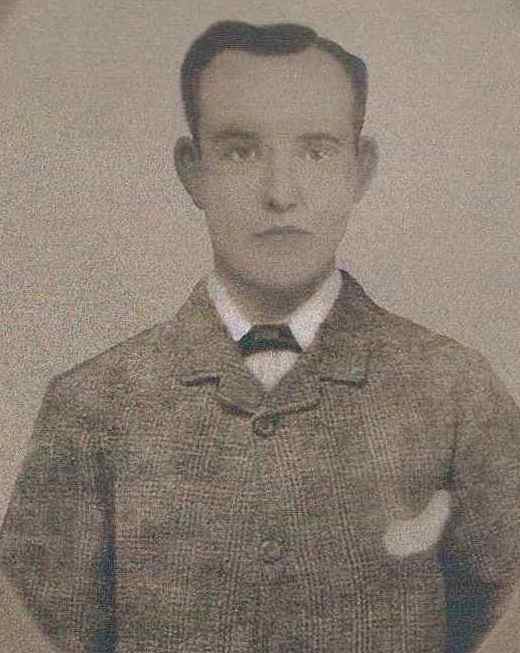 Ike Hart was born in Harwich in 1856 the son of James Hart and Mary Ann Bishop. He lived a very full life and married twice. His first wife was Clarissa Smith who died in 1881, there are no records of her life and as far as we are aware there are no children from this marriage. Ike’s second wife was Mary Anne Ellen Griggs, also born in Harwich, on Feb 2 1873 and she married Ike in 1891 although there are some discrepancies concerning both her age and Ike’s age at the time of the wedding as the family bible has been “doctored” to show that she was older than 18 and Ike was younger than 35. Whatever the truth is, between them they produced 12 children with one dying as a baby, another girl who died at 2 years old, a boy who lived until he was 26 and their last child Ethel Hart born in 1914 when Ike was close to 60 years old and his wife was 41. Once again all these dates are approximations as the declarations in the family bible do not match the statutory records. 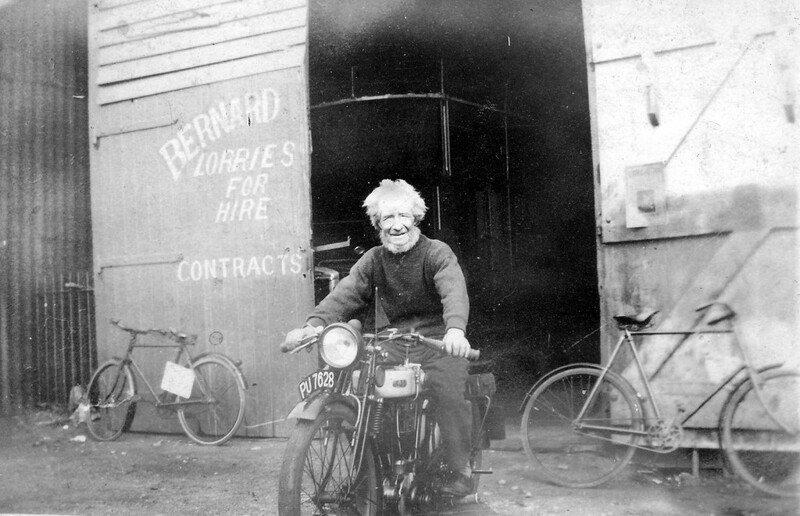 Ike was keen on boats and engines and towards the end of his life got around on a motorcycle, shown here outside Bernard and Sons Hauliers. Ike was not only known as a good hearted fisherman but he was also recognised as a very practical and artistic man and he entered numerous models in the Harwich Guy Carnival. He lived in various rented accommodations throughout the town before finally settling in his last resting place in The Bridewell on West Street which he shared with at least 3 of his children and their families. Ike died in 1937 with kidney (and possibly prostate problems) but his memory still lingers in the Harwich area. 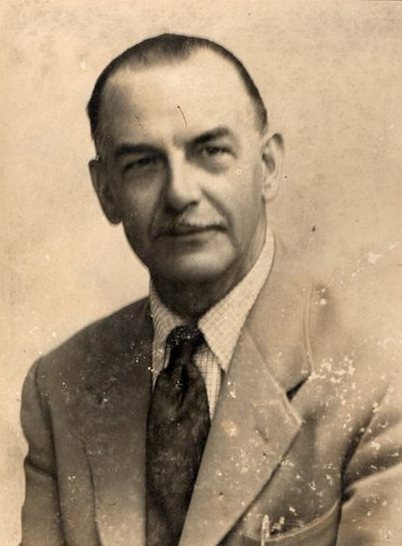 His youngest son Wallace Hart, who was heavily involved in the restoration of the Palace Theatre, died just a few years back whilst his grandson also known as Wallace Hart lives with his mother in Mayflower Avenue. Ike’s granddaughters from Clara Hart also still live in Harwich. “Ike Hart was known throughout Harwich as a fisherman with a big heart, he was loved for his generosity to those who had little”. Admiral of the Fleet Sir Reginald Yorke Tyrwhitt, 1st Baronet, GCB, DSO. Born the son of the Rev. Richard St John Tyrwhitt and Caroline Tyrwhitt (née Yorke), Tyrwhitt joined the training ship HMS Britannia as a cadet on 15 July 1883. He was assigned to the battleship HMS Alexandra in the Mediterranean Fleet in August 1885 and, following his promotion to midshipman on 15 December 1885, he was appointed to the cruiser HMS Calypso in the Training Squadron in November 1888. He transferred to the armoured cruiser HMS Australia in 1889 and, following promotion to sub-lieutenant on 14 March 1890, he transferred to the battleship HMS Ajax later that year. He joined the training brig HMS Pilot at Portsmouth in March 1892 and, having been promoted to lieutenant on 25 August 1892, he transferred to the light cruiser HMS Cleopatra on the North America and West Indies Station in late 1892. He became commanding officer of the destroyer HMS Hart in January 1896 and then became First Lieutenant on the despatch vessel HMS Surpise in the Mediterranean Fleet in late 1896. 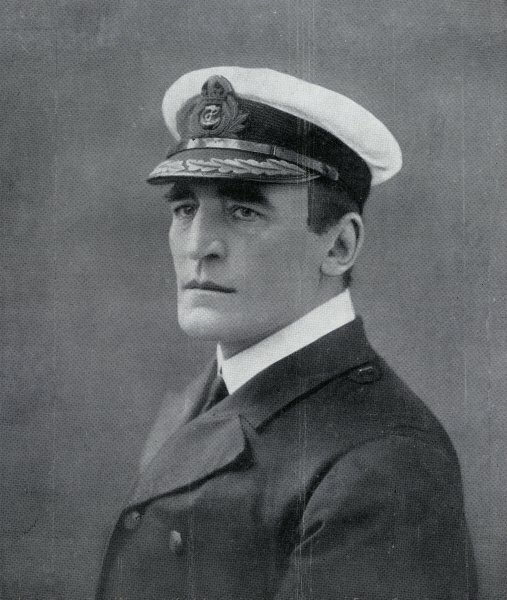 He went on to be First Lieutenant in the cruiser HMS Indefatigable on the North America and West Indies Station in December 1899 and, having been promoted to commander on 1 January 1903, he became Executive Officer in the cruiser HMS Aurora early in 1903. 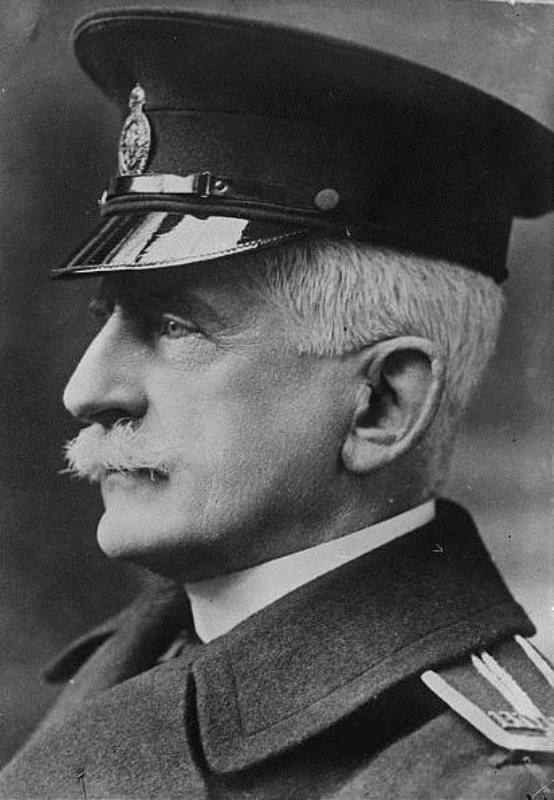 During the First World War he served as commander of the Harwich Force. He led a supporting naval force of 31 destroyers and two cruisers at the Battle of Heligoland Bight in August 1914 in which action the 1st Battlecruiser Squadron under Sir David Beatty sunk three German cruisers and one German destroyer with minimal loss of allied warships. Tyrwhitt also led the British naval forces during the Cuxhaven Raid in December 1914 when British sea-planes destroyed German Zeppelin airships and at the Battle of Dogger Bank in January 1915 in which action Tyrwhitt again supported Beatty’s powerful battlecruiser squadron. Tyrwhitt also led the British naval forces during the Cuxhaven Raid in December 1914 when British sea-planes destroyed German Zeppelin airships and at the Battle of Dogger Bank in January 1915 in which action Tyrwhitt again supported Beatty’s powerful battlecruiser squadron. During the Battle of Jutland in May 1916, the Admiralty held back Tyrwhitt’s forces in case of a German attack on the coast. Tyrwhitt was awarded the Distinguished Service Order on 3 June 1916, appointed a Commander of the French Legion of Honour on 15 September 1916 and appointed a naval aide-de-camp to the King on 21 May 1917. He was also advanced to Knight Commander of the Order of the Bath on 15 July 1917 and appointed an officer of the Military Order of Savoy on 11 August 1917. Tyrwhitt took part in the Zeebrugge Raid and the Ostend Raid on the night of 23 April 1918 for which he was awarded the French croix de guerre on 23 July 1918. 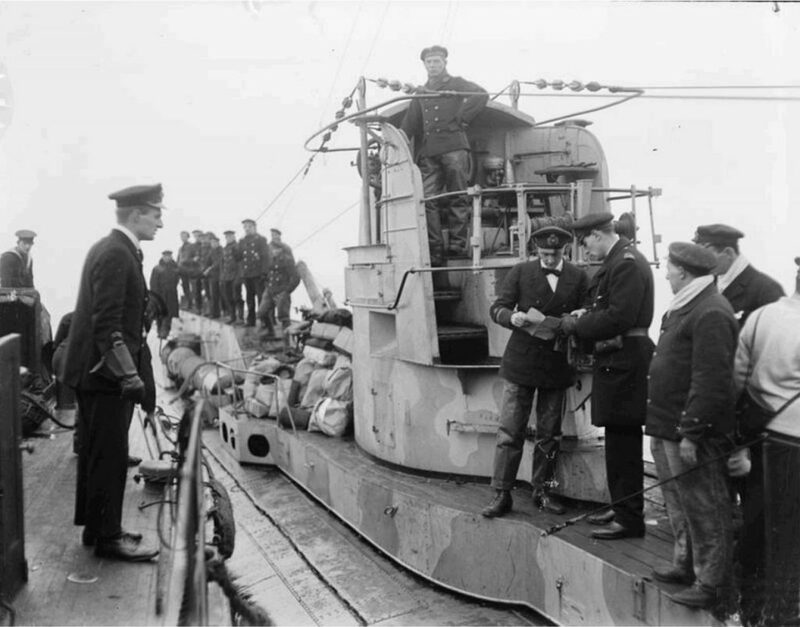 At the end of the War he accepted the surrender of the German U-boats at Harwich. He was also promoted to rear admiral on 2 December 1919 and created a baronet of Terschelling and of Oxford on 13 December 1919. Promoted to Admiral of the Fleet on 31 July 1934, he briefly served in the Home Guard during the Second World War. He died at Ellenden Nursing Home in Sandhurst, Kent on 30 May 1951. Dr Julius Levy was a German Jew who had fled from the Nazis before the war. Like many “aliens” as they were called, he had spent the first part of the war interned. After the war, he made England his home. He married a local woman, and served the people of Harwich with dedication for the rest of his life: a good old fashioned family doctor. Some said he was the kindest man they had ever known. Others, that he was the busiest. Others that considered him as their friend and that being so did not in any way interfere with the fact that he was their doctor, and a good doctor, as well. Some said nothing, being almost as sad as his passing as if they had lost a brother. The packed church at his memorial service told the whole story. Dr Levy would take us home at the end of a shift. One evening a motorcycle overtook us . He said ‘Off you go Son,I stitch you up later ! !’ Those were the best days .. The Doctors the best ever, the Hospital very special , Nursing at its best. I was always scared of Dr Levy as a child! He had the habit of wearing three pairs of glasses at a time, one on his eyes and the other two on top of his head. Consequently, I thought he had three pairs of eyes!!. One of the surgeries Dr Levy used to take was in one of the houses in West Street that burnt down a while back No appointment needed, just turn up, count the number of people waiting, and you would be next. After each patient had been seen, they would open the waiting room door and call next please. How simple that was. Wonder if it would still work today. As Canon Johnson said on that day, Julius Levy genuinely loved people. He was loved because he loved. Some said that when they heard that he was dead many people in Harwich cried. Rebecca Levy (Cissie) to those who knew her, A member of the well known Booth family of Harwich, she had lived in the town all her life where she became a popular figure in many circles. Cissie had a natural gaiety and elegance and was much sought after and in 1956 married her next door neighbour Dr Julius Levy, the much loved physician and surgeon who escaped from Nazi Germany and settled in Harwich. They both loved music and Dr levy would often sing in musical evenings at the Alexandra Hotel on Sundays, following the dark days of war. 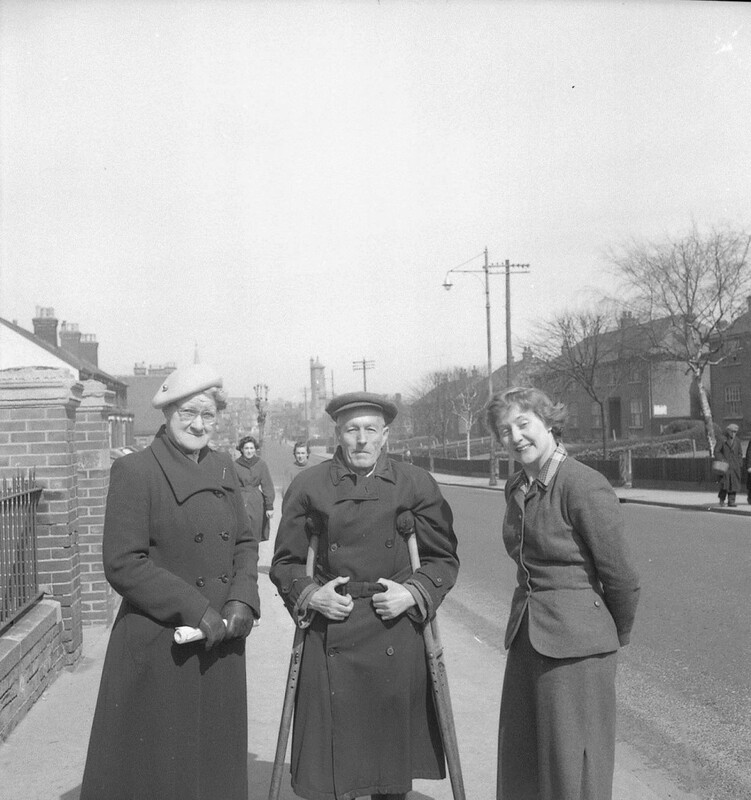 Cissie worked at Bernard’s the naval tailors and also enjoyed travelling with her sister Mary. The well known landlord of the Alma pub, Arthur moved to Harwich with his family in 1932 when he was 12, when his father took over the Alma he helped behind the bar from age 14, at that time beer was 4d per pint. 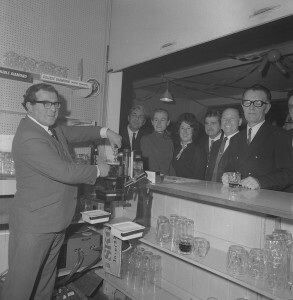 His father moved to the Royal and Arthur took over the Alma in 1953. From then on the pub became his life, it was open 365 days a year and there was always music, singing and entertainment going on. 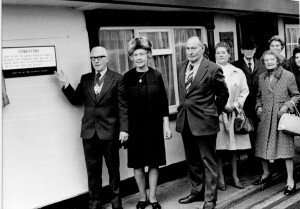 The Alma’s day trips to Great Yarmouth were famous, with the bus crammed with people, beer, food and music for the trip.He retired in 1987 and moved into the house opposite the Alma where Christopher Jones, Captain of the Mayflower. Once resided. Arthur spent the remaining 20 years of his life simply enjoying Harwich. 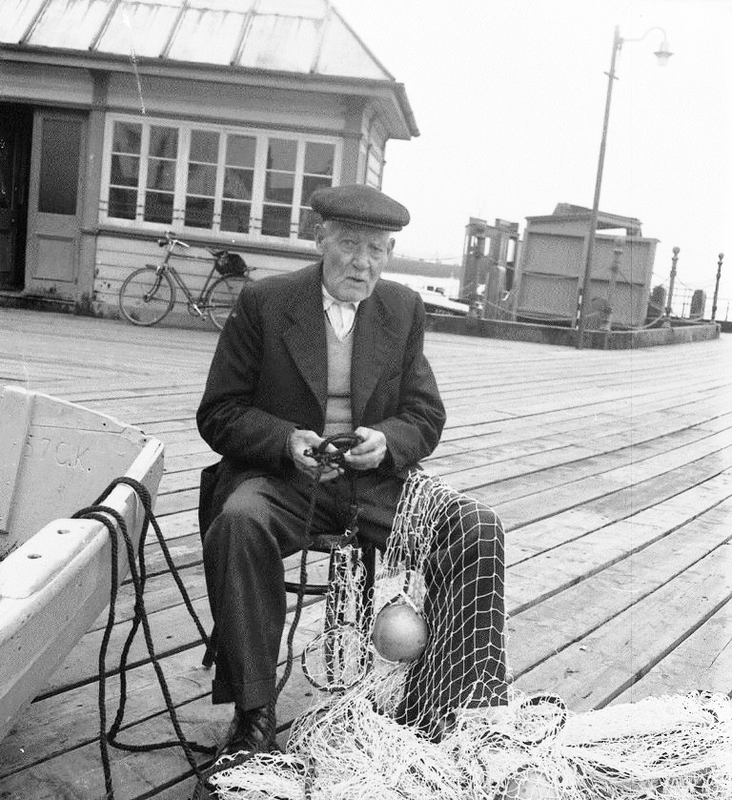 He would walk down to Ha’penny pier everyday to watch the ships go by, feed the seagulls and talk to people. 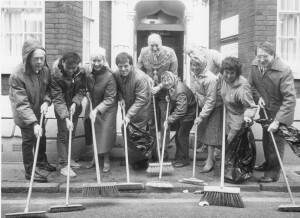 He knew everyone Arthur and his wife Peggy will be remembered for their generosity and charity work. Len was one of life’s colourful characters. Leonard Jackson Gostling (DSM) was a great raconteur and with his enormous sense of humour could tell amusing tales about almost anyone in Harwich you cared to name, and especially about himself. 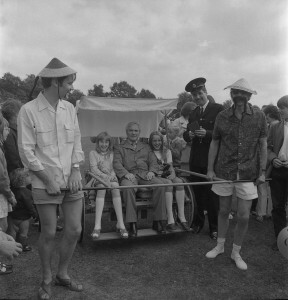 He was also extremely public spirited and took leading parts in all carnivals and fetes where money was to be raised for worthy causes. he will be remembered by football fans not only in Harwich and Dovercourt but throughout East Anglia where he made a number of appearances in goal for Parkeston reserves and in a number of occasions appeared in the ranks of the senior team. He began his career on square rig sailing ships, serving in the merchant navy then starting as a chimney sweep he operated several small businesses in the town. As well as being a keep supporter of the Harwich Guy carnival and the hospital fetes, he constructed several fairground-type attractions for these occasions. He also helped rescue the victims of the 1953 floods. Before they got very far the lifeboat began to sink but luckily the men were picked up by the Dutch ship paschol which then headed for Southampton. Len was one of those colourful characters that one never forgot after an initial meeting. Len’s life was rich in experience; he packed everything into one life span. Harwich is a poorer place without Len. Shirley Vivian Teresa Brittain Williams, Baroness Williams of Crosby, PC (née Catlin; born 27 July 1930) is a British politician and academic who represents the Liberal Democrats. Originally a Labour Member of Parliament (MP) and Cabinet Minister, she was one of the “Gang of Four” rebels who founded the Social Democratic Party (SDP) in 1981. Born in Chelsea, London, Williams was the daughter of political scientist and philosopher Sir George Catlin and the feminist and pacifist writer Vera Brittain. She was educated at various schools, including Mrs Spencer’s School in Brechin Place, South Kensington; Christchurch Elementary School in Chelsea; Talbot Heath School in Bournemouth; and St Paul’s Girls’ School in London. 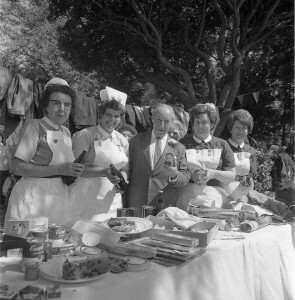 After unsuccessfully contesting the constituency of Harwich at the 1954 by-election and the general election the following year, as well as the constituency of Southampton Test at the 1959 general election, Williams was returned in the 1964 general election as Labour MP for the constituency of Hitchin in Hertfordshire. In government, she rose quickly to a junior ministerial position and, between 1971 and 1973, served as Shadow Home Secretary. In 1974, she became Secretary of State for Prices and Consumer Protection in Harold Wilson’s cabinet. When Wilson was succeeded by James Callaghan in 1976, she became Secretary of State for Education and Paymaster General, holding both cabinet positions at the same time. English motor racing driver and manager. He was born in Dovercourt, to parents of Italian descent and was living at 117 High Street from 1922-1929. 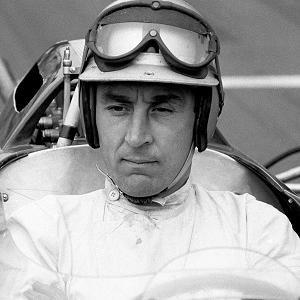 He graduated to Formula One by 1952 and competed regularly until 1962 for a succession of teams including Cooper, Vanwall, BRM, Aston Martin and Connaught. He also excelled in other formula, with his biggest coming at the 1959 24 Heures du Mans, with co-driver Carroll Shelby their Aston Martin. In 47 starts he managed only one podium, a third at the RAC British Grand Prix, but he won non-championship in Australia, New Zealand and England. In 1961 he was lying in second place at 1961 United States Grand Prix when his Cooper suffered an engine failure. At the end of 1962, he retired from F1 and stopped racing completely a couple of years later to concentrate on the motor trade. He returned to the sport in 1966 to spend two seasons as manager of the Cooper-Maserati squad, and eventually retired to Monaco. He died following illness on 3 June 2012 at the age of 90. A former East India merchant who settled in Harwich, who took over the ship yard, and planned to build a new town at lower Dovercourt. He began in 1845 by building a mansion, Cliff House, in the grounds which had become Cliff Park. After his election to parliament in 1847 he took an active part in bringing the railway to Harwich. At the same time W.H. Lindsey, a London architect produced plans for Dover Court new town, And when a chalybeate spring was discovered in the grounds of cliff house Bagshaw built the spa Which opened on the 28TH august 1854 and incorporated a library, pump room, and a conservatory which was used as a reading and smoking room. The first building was Orwell terrace which Bagshaws son Robert took up residence at Banksea house at the seaward in in 1857. The slopes from Orwell Terrace to Mill Lane were landscaped, with a grotto, shelters and a Miniature waterfall. Unfortunately this all left Bagshaw in severe financial difficulties and he was declared bankrupt in 1859. John Bagshaw died in 1861 leaving the under Cliff Walk, Orwell Terrace, the east side of Cliff Road, The Cliff Hotel, the Queen’s Head Hotel, Victoria Street, the Spa and the circular facing Waddeson road, to remind us of his grandiose plans. Son of John Bagshaw Robert Was a devout evangelist, he had ambitious plans for a Dovercourt New Town, in 1851 were only partially realised in the now grade II listed Orwell Terrace. Kingsway Hall is also grade II listed and is built in the Italian style, faced with Portland cement. He acquired a site in Stour road known from 1903 as Kingsway And built the Dovercourt mission hall at a cost of £ 2,500, in the vestibule remains a memorial Stone to Robert Bagshaws mother and sister, who drowned in the river Hooghly in 1820. 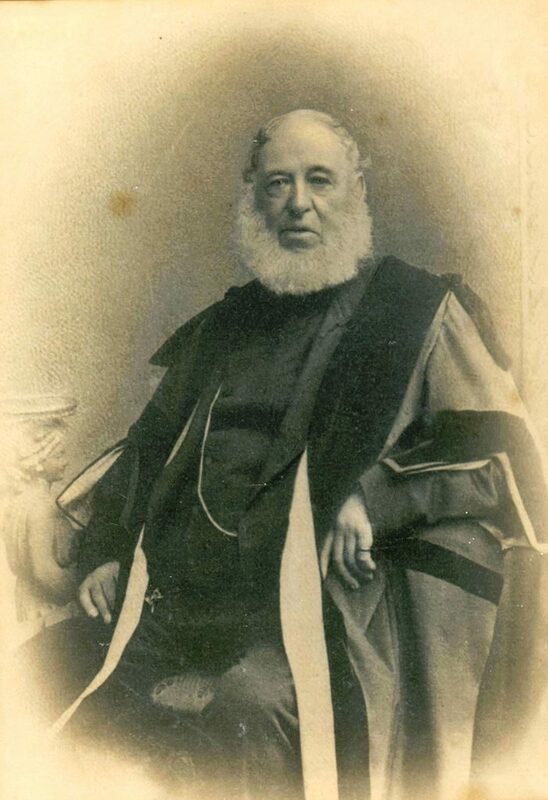 He Became MP for Harwich and developed Victoria Street in 1864 and the evangelical church The Kingsway Hall was built by Robert Bagshaw in 1874. Born in Reigate, Ralph came to Harwich in 1946 .he was invalided out of the royal navy after twenty years’ service. He and his wife Rosemary lived aboard an ex-raf launch and began of offer river trips on their pleasure Launch “Yvonne”. This service continued until 1978 when Ralph came ashore to church street .a stone’s throw away from the sea. Rosemary was well known as licenced boatwoman who, with her husband ran the harbour cruises in the 1960’s in their boat Yvonne. Born in Chelmsford, the daughter of a dentist and a pharmacist. She attended Chelmsford high school for girls and on leaving school went to work in the bacterial dept. of writtle institute. She married Ralph, and moved to Harwich and lived on a converted RAF launch, moored in the harbour. She was a founder member of the Harwich society and the Harwich sailing club. A very independent person with strong views on many topics. Harwich lost one of its real characters. For nearly two hundred years from 1750 to 1920, Michaelstowe Hall was occupied by five generations of the Garland family. Lewes was forty years old when he married Indiana Talbot from Durham in 1773. Two years later his eldest son Nathaniel was born but Lewes died in 1778 just before the birth of his second son. Indiana died in 1787 and the two boys were brought up by guardians at Michaelstowe Hall and were educated at Eton and Christ Church Oxford. Nathanial Garland, lived in a palatial mansion to the east of St.Michael’s Church, Ramsey. known as Michaelstowe Hall until his death in 1845 he was forty years old when he married Anna Cope from Armagh, Ireland, in 1814. The couple divided their time between their London home and Michaelstowe Hall, and also their estate in Surrey. Nathaniel was appointed Deputy Lieutenant of Essex in 1819 and High Sheriff of Essex in 1824. Nathaniel died at his London home in January 1845 age 70. Was Lord of the Manor when the Eastern Union Railway, later the Great Eastern Railway, built the line from Manningtree to Harwich, much of it across land owned by the Garlands. The line opened in 1854. Some twenty years later in 1875 the board of GER decided to build their own quay up river from Harwich. Negotiations with Edgar Garland resulted in a further 50 acres of Ray Island being sold to the Railway Board for this purpose. The docks and the newly created village were named after the Charles H. Parks, chairman of the Great Eastern Railway Company and the new Parkeston Quay opened for shipping in March 1883. Edgar Garland died without issue in 1902, and was succeeded by his nephew Arthur Nathaniel Garland. Oversaw the building of the current Michaelstowe Hall in 1903. In 1904 he married his second wife Evelyn Lisa Chavalley, the daughter of a French aristocrat and his son Victor Nathaniel Garland was born in 1905. The census from 1911 shows four daughters from Arthur’s first marriage also resident at Michaelstowe Hall along with 10 servants, including a butler, first footman, second footman, nurse, cook/housekeeper and five housemaids. The Garland’s link with Michaelstowe Hall ended in 1920, when the 2,250 acres of the Michaelstowe estate were put up for sale by auction by Hampton and Sons at the Corn Exchange in Colchester. The estate at that time owned land and farms across Bradfield, Wrabness and Ramsey as well as the Dovercourt Golf Course and the Garland Hotel in Parkeston. Following the 1920 sale, Michaelstowe Hall was acquired by Richard Combe Abdy, a wealthy businessman with interests in cotton and banking. He also owned property abroad including homes in Alexandria, Egypt, and in Switzerland. During his ownership of Michaelstowe Hall sixty gardeners were employed to help maintain the grounds and there is a well-known tale of Squire Abdy offering £1 to any of his guests who could find a single weed anywhere on the estate. During the 1920s the house and gardens were extensively improved and extended by Mr. Abdy who also spent a vast sum on creating a rock garden around the ornamental lake. The grounds were notable for a magnificent collection of rare flowering and evergreen shrubs. The gardens were well known throughout the county and the ornamental rock garden around the lake was described as probably the finest in the country. A successful businessman. Mr. Abdy began his career at Barings Brothers bank in London, he later went on to found the National Bank of Egypt, and became chairman of several other Egyptian insurance and investment companies. He was twice president of the British Chamber of Commerce in Egypt. Well known for his good humour and hospitality, his many house guests at Michaelstowe Hall included representatives from Harwich Police, and officers from visiting warships. Boy Scouts and Girl Guides from Harwich were invited to hold annual camps in the grounds. As High Steward of Harwich, Mr. Abdy took a valued part in local affairs and one of his civic duties was to open the Dovercourt Band Enclosure on the 14th July 1929 (later known as the Cliffs Pavilion). Mr. Abdy died in Cairo in March 1938 from heart failure, aged 69. He was unmarried. Raised by Mr and Mrs Firth, who eight years after his birth married in 1868 , they were both illiterate and penniless. Mr and Mrs Firths funerals in 1879 And 1880 (in different cemeteries and unmarked graves) were paid for By Mrs Middleton-biddulph of 26 Grosvenor place at the Rear of the palace. The is no birth certificate for CHFB ,and no trace of a christening. it is thought Unlikely that he was a child of the firths, although he may have been the child Of Mrs Firth(nee Kean) prior to her marriage. Whilst the parents were Illiterate and penniless the boy was usually well educated, fully able to read and write fluently. CHFB joined the navy at Chatham aged 15 as a boy signalman, In 1886/87 whilst serving in H M S Thunderer, two of his officers H.R.H. Lieutenant Prince George (Prince of Wales 1902, later King George V) and Lieutenant Charles Cust. Whilst in the navy Charles did two spells of hard labour (42 and 28 days) and three sentences of 7 days in ships cells. After 25 years’ service he retired on pension in 1898 as a leading signalman. 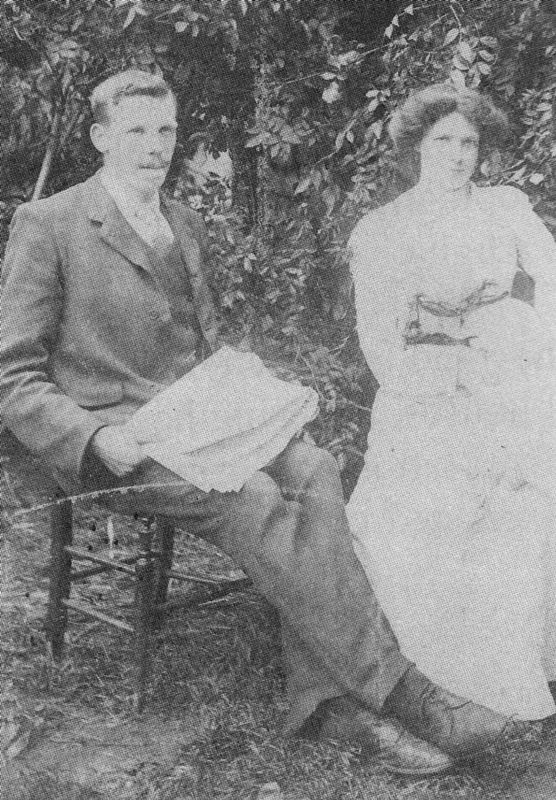 He married Mary Ellen Dickinson in Dovercourt, on 31st January 1893, His bride, an orphan ,at the time was in private household of the countess Of Harrington living at 13 Palace Gardens Westminster. Two years after leaving the navy and 14 years after serving with H.R.H , apparently with no intervening contacts , (Sir) Charles Cust wrote to CHFB asking if he would care to measure HRH’s children for sailor suits .These Little suits were supplied for about 10 years and in 1902 he was awarded The Royal Warrant of Appointment. In the course of this work he met the King and Princess of Wales on a number of occasions and made brief notes of at least two such visits. 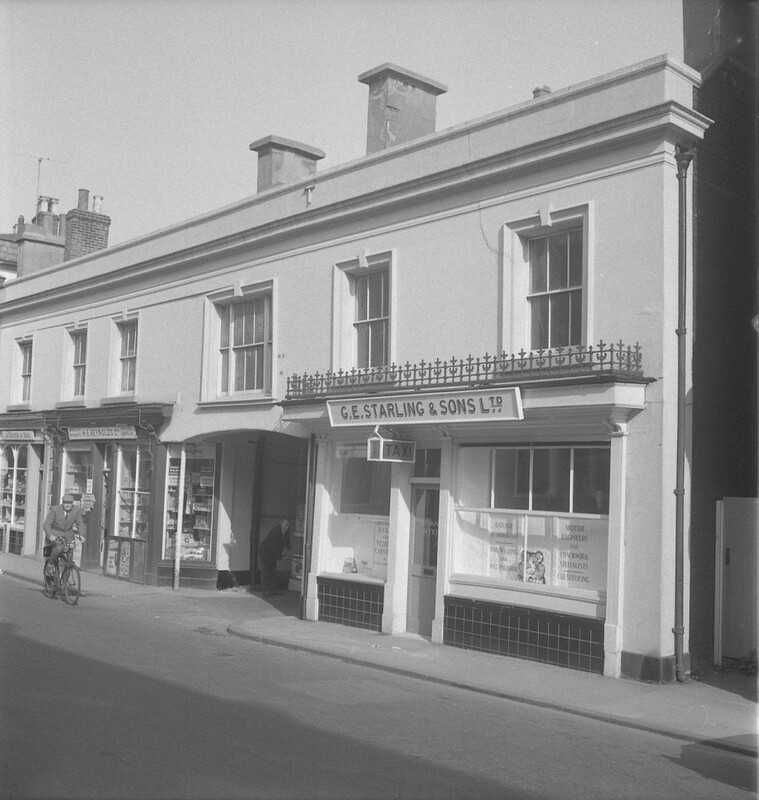 Charles Firth Bernard founded his clothing business in 1897 at 69 Church Street, Harwich. Charles Henry Firth Bernard died in 1908, and he too was buried in an unmarked grave. The local Harwich newspaper, whose property almost adjoined those of CHFB , wrote no obituary of the only Harwich Royal Warrant holder and no death Notice appeared in the paper. Thomas Bernard was born 27 April 1895 at Harwich, second son of Charles Bernard and Mary Dickinson. his father established the naval uniform manufacturers C H Bernard. Extract from the diary of T H F Bernard, age 19 serving on H.M.S Hogue. Sinking, I woke with a start, and surely it was not turning out time yet. I looked over the hammock, and yes it was right enough. The master at arms was coming along the mess deck,’ come along up guard and steerage one of our four ships had struck a mine. I slipped into my overalls and shoes and without stopping to lash my hammock bundled it I to the canteen and rushed up onto the forecastle. There we watched the ‘Aboukir, she was about 300 yards ahead off our Starboard bow ,the other ship with us, the ‘Cressey’ was about 400 yards Of our starboard beam. The Aboukir only had a slight list to starboard As we watched she co tuned to heel over very slowly and lowered her port Side boats, which pulled away to await events. Her ships company were standing by to abandon ship. She was again angle of 90 degrees, the men climbed over onto the port side and a few walked along the masts which were level with the water. We had been busy lowering our boats, standing by rafts and ropes over the side and by every piece of available wood which would be capable of keeping a man a float. Thomas Henry Firth Bernard was awarded MBE on 29 Dec 1944, for Air Raid Precautions Sub-Controller, Deputy Co-ordinating Officer and Member of Emergency Committee, Harwich. Later appointed a JP, Thomas H F Bernard died on 29th Jan 1971. 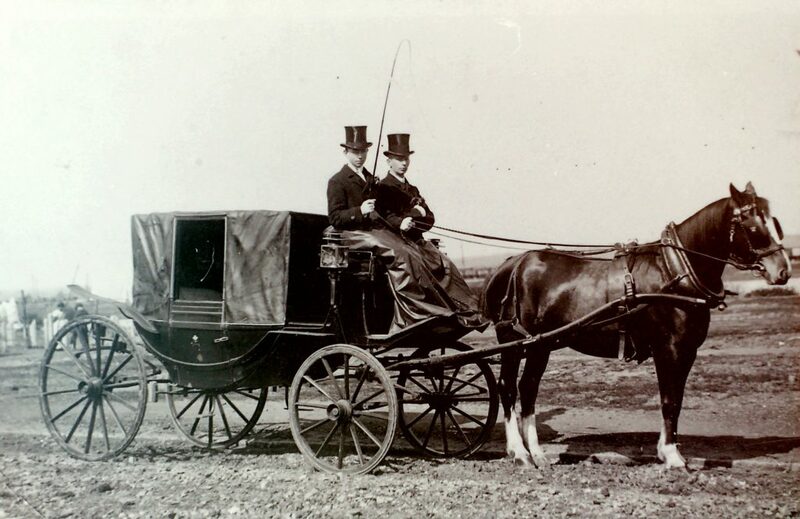 Robert starling and his wife Ann and their children, moved to Dovercourt from London in 1857. Robert entered employment of John Bagshaw as a horseman/groom and was provided with Accommodation at 11 Victoria Terrace, which his employer owned. Two years Later, John Bagshaw was declared bankrupt resulting in all the Bagshaw Property being auctioned off during the summer of 1859. Included in the sale was Stour place, which consisted of the five shops to the East of the Queens Head Hotel together with two cottages and stables at the rear. 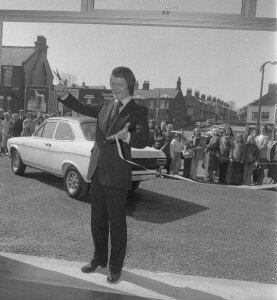 At the auction Mr J c cobbold, Member of Parliament for Harwich, Bought the site for £1,650. He also purchases Waterloo place, which was alongside Stour place, whilst John Bagshaws son, Robert, bought the Queens Head Hotel. 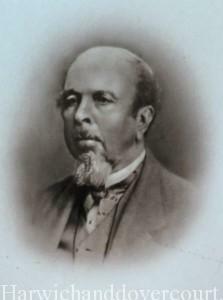 Robert starling died in 1881 leaving son George to take over the family Business. George Starling was now living at 39 Cliff Road, with his wife Louisa and their children which had a large garden and tennis courts. George’s sons we’re joining the family business. His eldest son, Robert, who lived in a house in the high street just up from Woolworths. George had great foresight, he saw opportunities of the new motor driven Vehicles and in 1909 he bought his motor driven taxi. This was now a time of much change. Workshops had already been established alongside the stables to maintain the horse drawn vehicles, now these were updated with a lathe, mechanic al saw, welding equipment and small gas fired Furnace. Lifting blocks were erected to lift engines out of their vehicles and a pit dug to enable work under the vehicles to be carried out. Starling’s were now established as motor engineers. Apprentices were taken on for a nominal fee, after three years they became known as Journeyman, after a further two years they became fully pledged motor Mechanics and they would be awarded with a certificate to prove they we’re fully trained and earned a full wage. Dovercourt was rapidly developing as a seaside resort. George had the foresight and entered the char-a-banc trade. 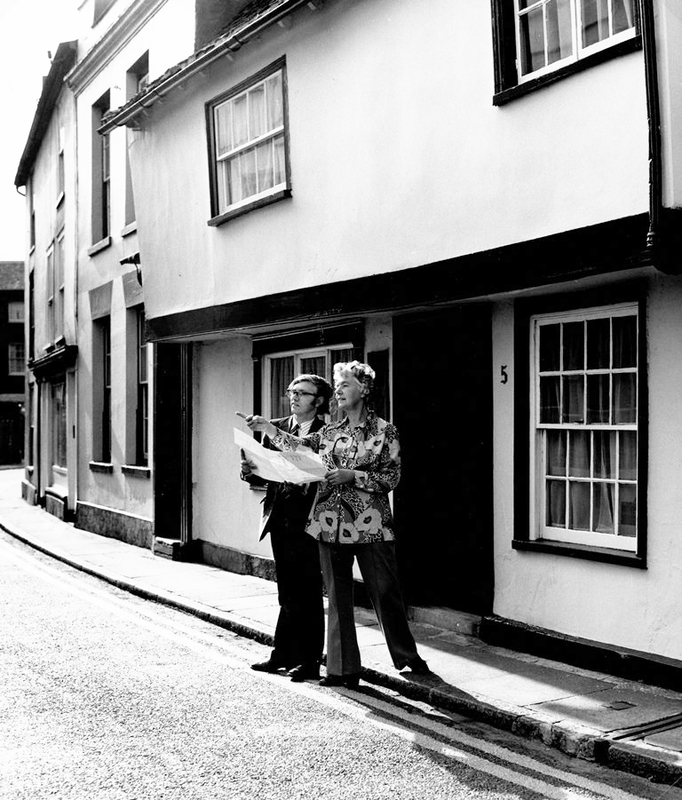 Tours and days out were laid on to such places as Clacton, Flatford, and Dedham. 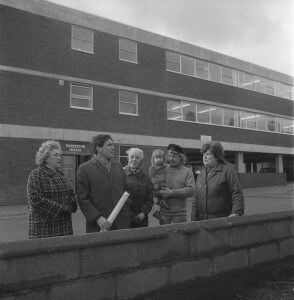 The vehicles were based on now wasteland between the rear of Alexandra House and the Co-operative society car park. On this site a hole was for a underground petrol tank, mainly to supply fuel to the Char-a-bancs but also sold retail to the public .the opportunity arose for buying the freehold of what was known as Stour garage and he elected for that option. George died on Christmas day 1929, leaving the business to his wife, Eldest son Robert had remained in the business since leaving school, whilst third son Oliver had emigrated to Canada. He returned home for his father’s funeral, remaining in Dovercourt to re-join the garage and Taxi business. The business now became known as G E Starling & Sons, on the death of George’s wife Louisa, sons Robert and Oliver along with Daughter Rachel, became the new owners. Robert Starling continued to ply the taxi trade long after his retirement and having handed the business over to his nephew, Kenneth. Fred Green purchased the business in 1970 or 1971 from the Starling family and took over the business until his widow then sold it on in 1984, but to this Day still trades under the family name. Alderman and Mayor of Harwich. he described himself as a cement manufacturer, coach merchant, master, miller, corn merchant, brick maker and other trades. His father moved to Harwich from Thorpe le spoken in 1809 and took the lease of the windmill and granary, which John bought in 1829. it consisted of a stables and business premises near to the mill, called Patrick’s mill to distinguish it from Dovercourt mill which had stood at the end of mill lane, until coastal erosion caused into become unsafe .it was taken down in 1829 to be re-erected in 1835 on the site near to the junction of Fronks Road and Marine Parade, the erosion had been caused by the removal of stone from the cliff to be converted into cement by John Patrick to transport bricks and tiles that he made he dredged a channel to a wharf. But the Portland cement works and asking for action to be taken to abated the Nuisance. Mr Gwynne took Patrick to court in 1871 and forced him to build a chimney shaft 320 feet high .it remained a feature of the skyline until the outbreak of war in 1939. John left his two unmarried sisters at Hill House and moved into the 1855 tower which he built next door, by that time the cement industry in Harwich was dying and in 1906 the whole estate was sold. Patrick moved into the villa, which stood adjacent to the tower on the corner of Patrick’s lane the jay and works were bought by Groom and sons, the timber merchants while the tower was acquired by Mr E.M.Jackson and remained a boarding School for boys until 1914, when it became a military hospital. George Cann moved to Harwich in about 1866 having previously worked at the Aldous’ Shipyard, Brightlingsea. He started his own business, building fishing smack and Bawleys on the shingle beach off Bathside. When the Harwich Docks, Wharves & Warehouse Company started to reclaim land from the sea by building a new sea wall in April 1875 he rented a site at Gas House Creek from Messrs Groom and Sons which he later purchased. George Cann built himself a house opposite the yard and settled down to build and repair wooden craft. Sailing barges were the firm’s speciality and under his ownership the yard built the Florence (1877,), Muriel (1880), Eureka (1880), Una (1882) and Dorothy (1889). In 1889, at the height of all this activity, George Cann died from chest injuries sustained when crushed by a log being unloaded from a railway truck on Harwich Quay. He was fifty-six years old and had four sons and two daughters. Two of the sons were destined to carry on the business. John was a trained and dedicated shipwright already working in the yard. 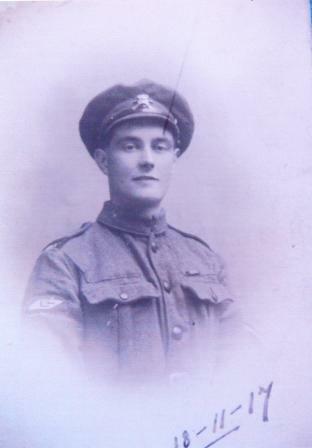 His brother Herbert had originally been a solicitor’s clerk before joining the army. At the time of his father’s death he was serving in Ireland. After a brief period of managership by the brother of George Cann, it was decided to continue the business as J. and H. Cann. John, who was an excellent craftsman but had limited business knowledge, acted as the practical partner and Herbert, who had been bought out of the army, returned to manage the financial affairs and curiously, to take charge of the small boat building shop, where up to three 14 foot boats could be built at once. The barges and Bawleys were built in the open and two sailing barges were building at the time of George Cann’s death. The new firm continued this work as their main business, subsequently launching Bona(1896), Edme(1898), Gladys(1901), Resolute 1903) and Edith May(1906). These barges were reputedly built from lines taken from skeleton half models made by John Cann and at least one of them was built with a few inches of rocker in the keel to anticipate and compensate for the inevitable hogging of the hull in trade. About thirty men were employed at J. and H. Cann; a shipwright then earned between 25 and 28 shillings each week. In summer the yard bell rang to start at 6 am. All hands stopped for breakfast between 8 and 8.30 am. Work continued until 1 pm, with a dinner break until 2 pm, and ended at 5.30 pm. If the yard was busy the men had a tea break until 6 pm, and then continued until 8 pm. This was a long and hard day’s work. In winter the day started at 6.30 am and almost always stopped at 5.30 pm. John Cann had tremendous enthusiasm for the work, retiring at 9 pm to rise at 5 am and be in good trim for the early start at the yard. At particularly busy times he is said to have sometimes gone to bed with his boots still on, to save dressing time in the morning! John designed the craft built at the yard, first making skeleton half models. These were scaled from to produce offsets which it is thought were lofted full size before construction commenced. The spritsail barges were built in an average time of eight months and a smack took five to six months to construct. Usually a new barge was laid down when one already building was planked and nearing completion. A new barge cost about £1000 in the period 1900-1914. 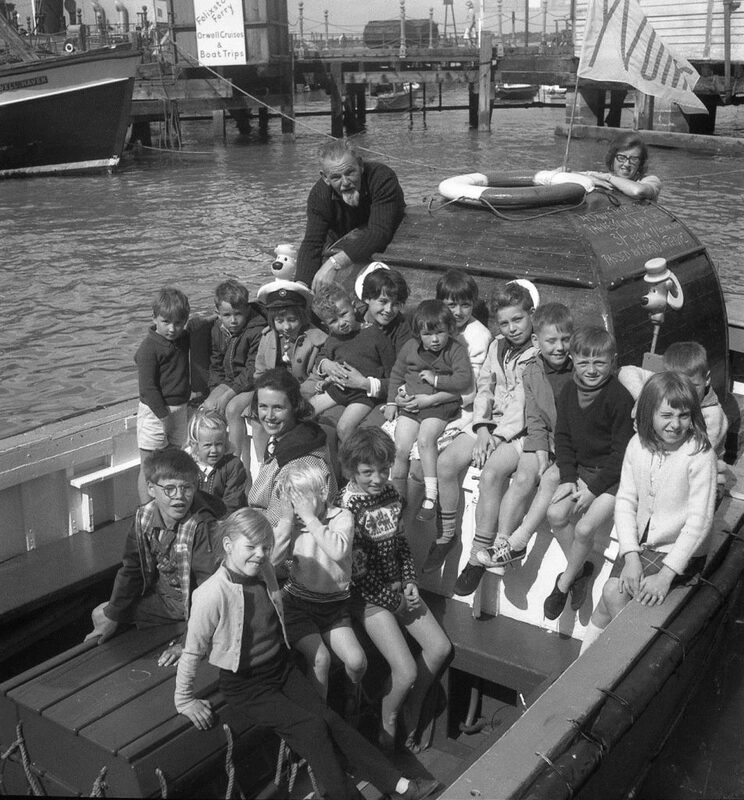 One of the Cann families had a half-share in the barge Ethel and she went for her trial sail with the entire Cann family crowded on her deck for the day-long trip. The boatbuilding shop reputedly turned out a 14 foot barge boat each week, Most of them built on speculation and bought by barge owners locally and on the Thames and Medway. Besides trawling for shrimps, there were in 1900 about twenty Bawleys and small smacks fishing all year round from Harwich for whelks, which were used as bait for long-line fishing by large smacks owned at Harwich and elsewhere. 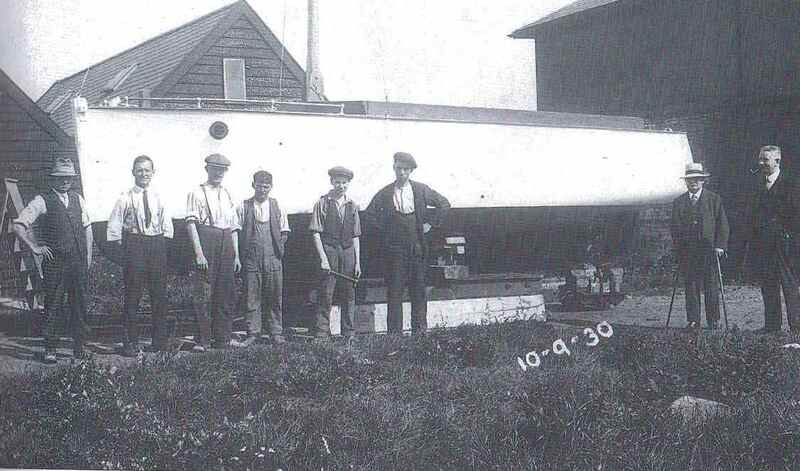 Many of the Harwich Bawleys were built at the port and others were constructed there for Leigh and proved fast and able craft. Several notably fast Bawleys were built at Harwich by George Cann and later his sons John and Herbert, whose firm of J. and H. Cann closed in 1922. Alderman and Mayor from 1912-1918. The firm of Saunders was well known builders in the area, employing 150 Workers making bricks and tiles. Hillcrest built 1898 and now the premises of Hanslip and Ward, solicitors was Built by Edward Saunders, at the rear were his yard and workshops. 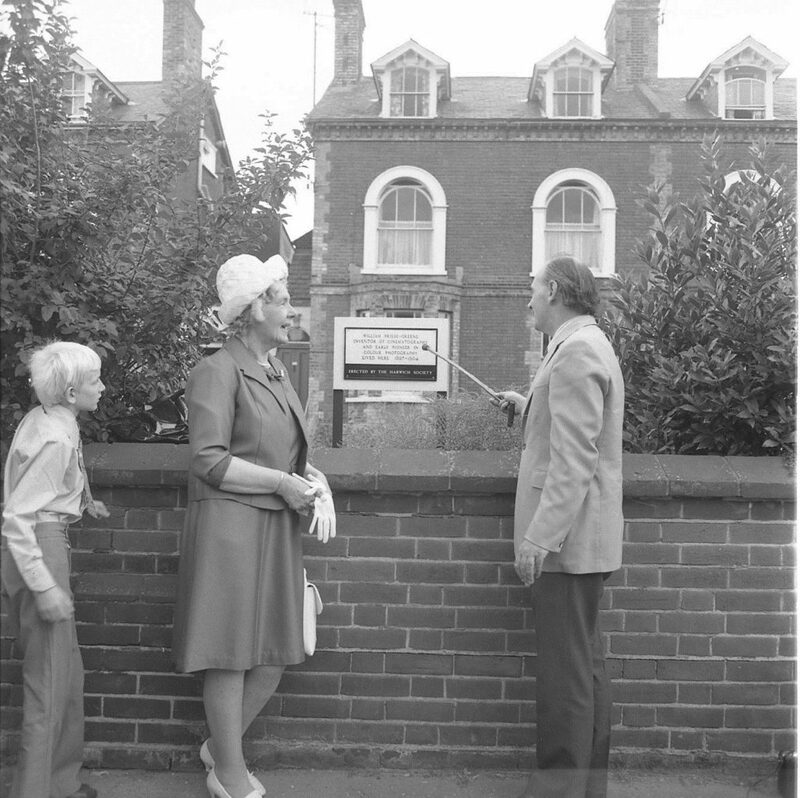 His hill Crest estate included Brooklyn Road and Oakland Road, and the site for the Wesleyan Methodist Church which opened in 1905.with the coming of the motor car it was possible to live at a greater distance from the station, and Saunders began to extend Fronks Road Beyond Beach Road. Five large houses were built on the seaward side, mainly for pilots, civil servants, businessmen and managerial staff associated with Parkeston quay, so that by 1914 the quiet lazy thoroughfare called the Lanes Had been widened and transformed into the Fronks Road of today. 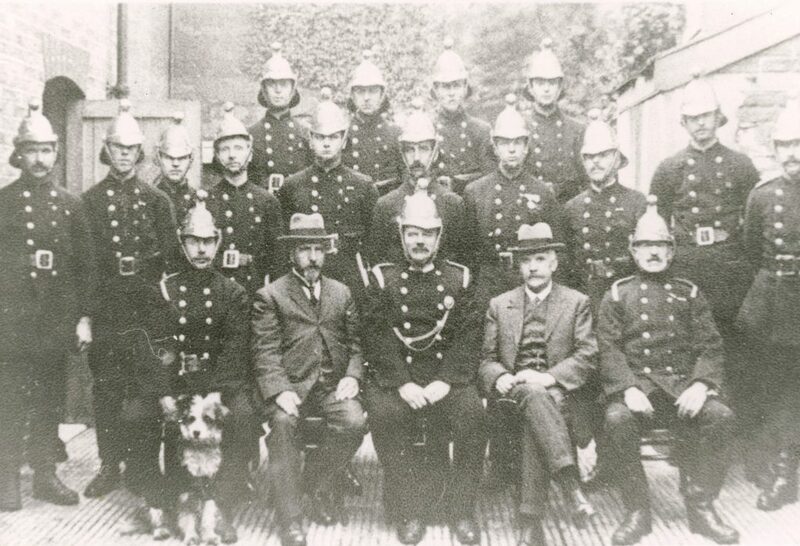 The above picture from 1914 shows, Fire Brigade with Edward Saunders, C Hill and Captain David Wills. The death has occurred at Bishop’s Stortford of Mr Edward Saunders, M.B.E., J.P., of Hill Crest, Who had been Mayor of Harwich on ten occasions, including the years of the last war He became a borough Councillor in 1896, and an Alderman in 1906, retiring three years ago. The funeral took place at Dovercourt Saturday of Mr Edward Saunders, J.P., ten times and Mayor of Harwich. The service at Cliff Road Congregational Church, where the deceased and his wife were regular worshippers, was conducted by the former minister, the rev A.W.Poulson. in a tribute Mr Poulson said the late Mr Saunders was one of the outstanding personalities of the past half century in the eastern counties, and had by his record of service claimed for himself a conspicuous position. He was of a kindly and gracious spirit, and a large and generous heart, his generosity was in fact, one of the greatest features of his life, but because it was never paraded it was fully known only to a few. Mr Saunders was awarded the M.B.E for services rendered the nation and the War Savings Movement 1914-18. 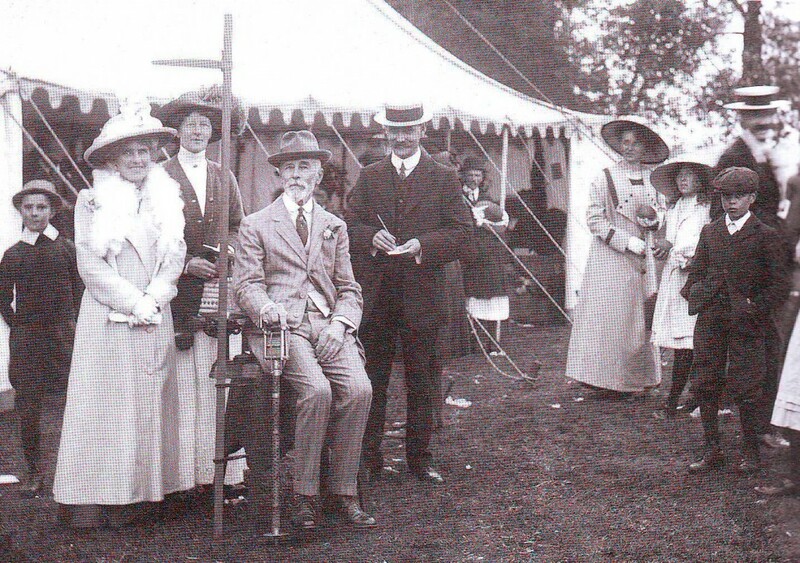 On the occasion of his silver wedding in October 1917, the Town Council presented him with a silver salver. Frederick Percy Wallis was born on the 27th April 1878. He married Jane May on the 17th September 1904. In 1905 they moved to Great Oakley where Frederick started his own photography business. In 1907 he moved his family and business to Great Bentley in Essex, where he had a studio built. The family moved again in 1910, to ‘The Studio’. Little Oakley. The studio was two cottages knocked into one with no electricity, gas or running water. He used one room as a dark room and workshop and the portrait studio was built in the garden. Transport had been a problem until Frederick started using a motorcycle and sidecar in 1910. Frederick was unfit for military service in 1914 and for the duration of the war he worked in the local explosives factory. In 1918 his eldest child, started helping him with his work and in 1920, when she left school, Frederick was able to expand. He opened a studio in Dovercourt and a photographic kiosk on the beach at Dovercourt Bay. His early pictures were just signed Wallis or F. Wallis. When his daughter Winifred became a partner in 1918 he signed his pictures F. &W. Wallis. Frederick died on the 8th of January 1924 aged 45, leaving a widow and eight children. Winifred carried on with the business for some years after his death. Charles Eves, moved his business from Suffolk to Dovercourt in 1935 and built between three and four hundred houses in the area by the time he retired in 1966. His first houses in Dovercourt were built on Ramsey Road after which he moved on to build the properties on Ashley and Valley Roads. 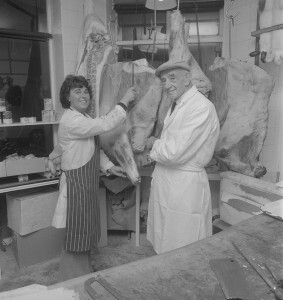 It was from Ashley Road that he ran his business from the 1940s through to 1966 using an old wooden shed for an office. After the war he built houses for the council on Parkeston Road, the Pound Farm estate and the Grange Estate. In addition he build a number of individual properties around Dovercourt and in the surrounding villages. 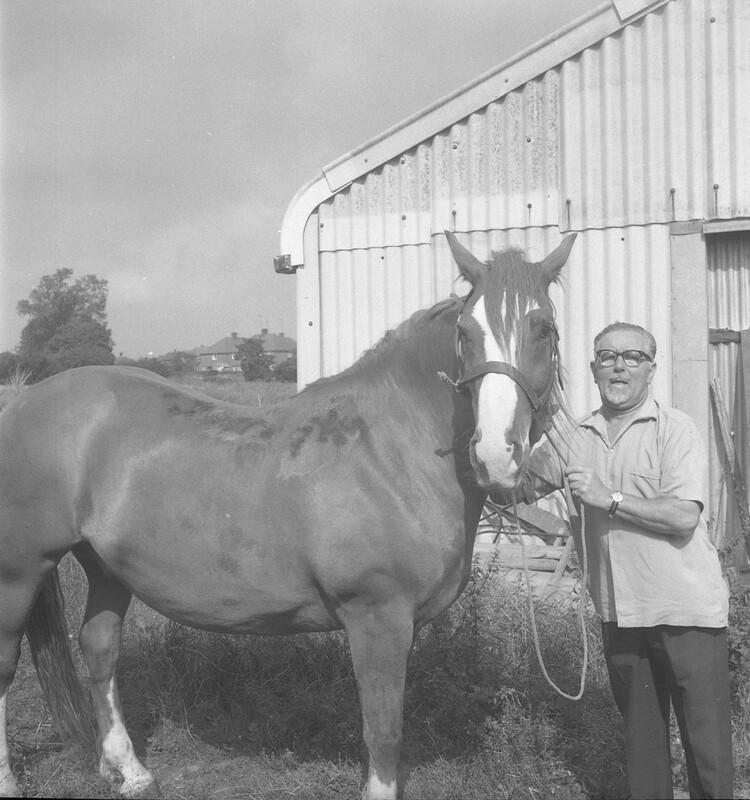 In the mid-1950s he obtained the land comprising Dove House Farm and continued building on that site until 1966 when he retired. 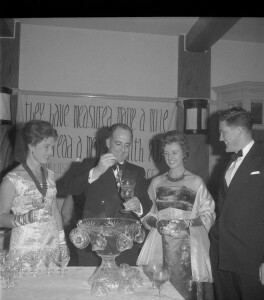 By 1959 he had built the first 100 bungalows on the development and to mark the occasion invited Lady Isabell Barnett, a TV celebrity of the time, to present a golden key to the 100th purchasers. This occasion seems to have caused minor stir at the time with the local paper producing an eight page supplement to mark the event. 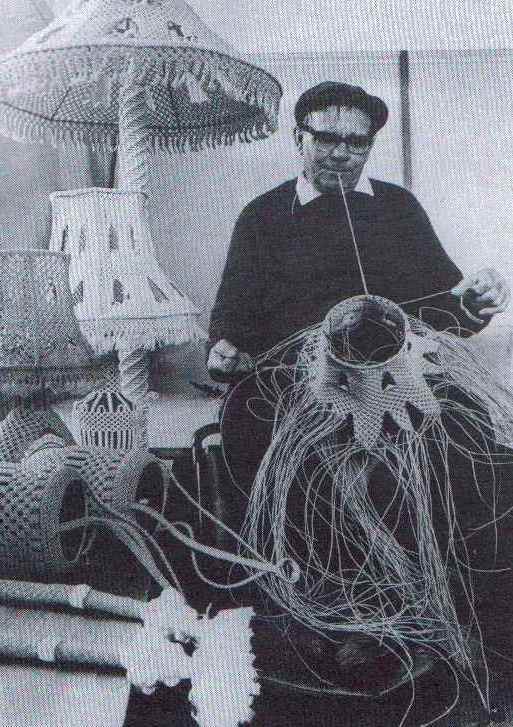 Leonard Weaver (MBE) was born in Birmingham, educated at Coventry Grammar School and Birmingham University. He graduated in 1927 and after teaching briefly at Lichfield, he was appointed History Teacher at Harwich High School in 1929, a post her held until 1971. In 1930 he served on the Borough’s Muniments Committee, cataloguing and preserving all the old documents in the Guildhall. In the Second World War he served in the RAF Education Branch training instructors. He returned to Harwich in 1945 and was elected as a Harwich Borough Councillor. In 1949 he was made an Alderman and was the last Mayor of the Borough in 1973. He wrote three books on the history of Harwich, The Harwich Story, Harwich Gateway to the Continent, and Harwich Papers. He was awarded an MBE for his services to the town in 1997. 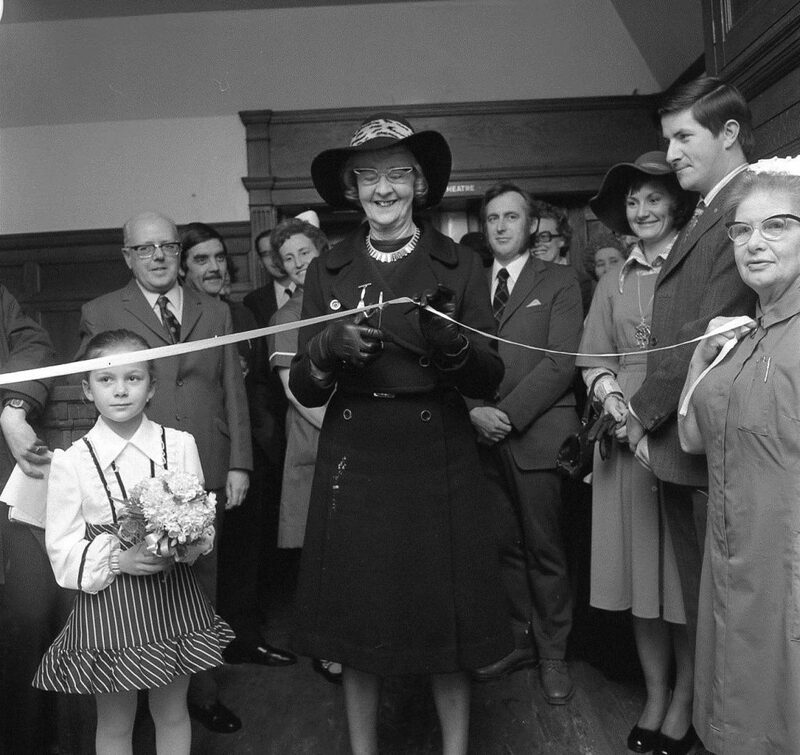 Winifred Cooper (MBE) was born in Wimbledon in 1909 and worked as a journalist in Fleet Street. She married Stanley Cooper who worked for Trinity House and in 1941 they moved to Harwich. Winifred’s first impression of Old Harwich was one of dereliction, yet the place had its fascination. 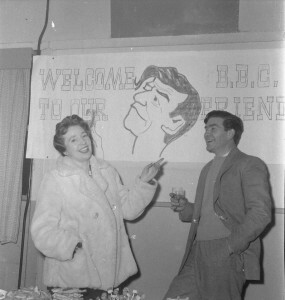 After renting accommodation in Barrack Lane and Fronks Road, Winifred bought the old Foresters Pub in Church Street as a ruin in 1952. Always interested in people, Winifred was a member of the Harcourt Players and later the Dovercourt Dramatic Society. She was also founder member of the Parochial Church Council. Soon after moving into Foresters, the Coopers joined The Harwich Protection Association,This had been set up to combat Trinity House’s plans to develop the whole of The Quay. In 1968 Winifred appeared on television in defence of The Redoubt, then threatened by demolition and replacement by a tower block of flats. Also in 1968 was the Exhibition on the Arrival of Charles II at Harwich in a yacht, which focused much interest in local history. 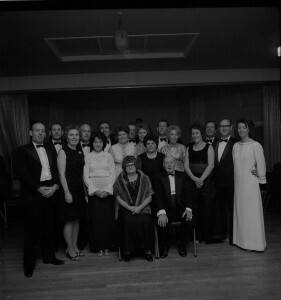 The following February, The Harwich Society was born at a public meeting at The Town Hall with Winifred as its Vice Chairman. Eighteen months later she became Chairman. In the last year of her life Winifred was plagued with ill health, Fearless in defending her principles, armed with a fantastic memory and a strong will, she has left an indelible stamp on the character of the Harwich Society, and thus her mark on the town, all for the best. Andy was moved by H.M. Custom from Newcastle to Harwich in 1959 to take up a post as a Custom Officer at Parkeston Quay, in those days all single Immigration Officers and Custom Officers stayed at The Orwell Guesthouse. 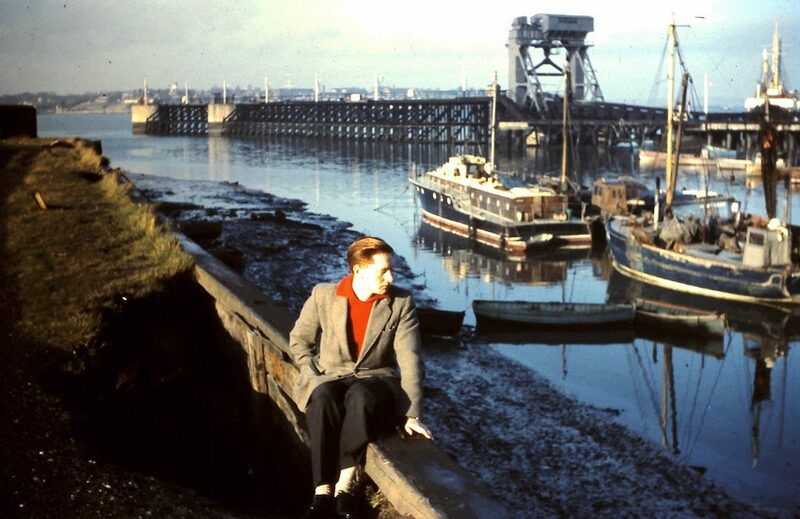 Andy’s first impressions of the area were not good, he stated the area looked as though it was “falling down” and his first day at Parkeston Quay was no better. During the next few days he requested a transfer! Transport to Parkeston Quay was provided by “The Parkeston Flyer” an old tank engine with a few dilapidated carriages, that travelled between Harwich, Dovercourt & Parkeston to take the workers to and fro. Andy recalls that a season ticket cost £4 a quarter. While he was waiting for his transfer to come through he found that under the surface Harwich & Dovercourt had a great social life as many new comers to the area still find today, he made many friends by attending “The Grange” that was used for evening classes as well as Social Events. Life was to change for Andy when he noticed an item in the local paper advertising a History Exhibition at the Town Hall, (Quayside Court) a grand building as he remarked. 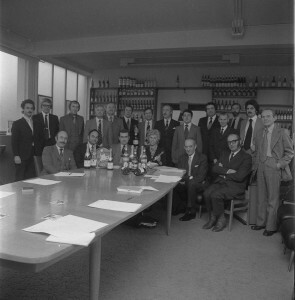 The meeting caused much interest and it was decided amongst the people attending that they should meet at a later date and as a result The Harwich Society was formed. 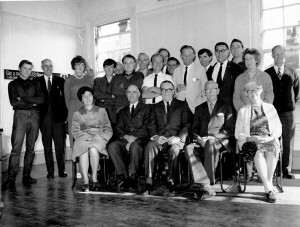 Sixty people attended this meeting and a Committee was formed as Leonard Weaver, Chairman, Winifred Cooper, Vice Chairman, Sandy Webb, Secretary and Alf Smith as Treasurer. Seven further people agreed to serve leaving one space to fill with no volunteer coming forward, it was at this time that Andy reluctantly agreed to make up the numbers. The membership fee was 5 shillings per annum. 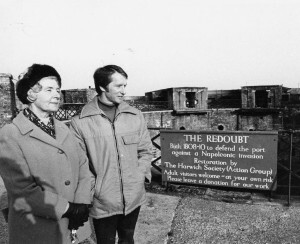 The first monthly meeting took place at The Tower when various groups were formed leaving the Redoubt needing a leader, once again Andy reluctantly agreed to take it on. Andy would say himself that he could not knock a nail in straight but was a “Very Good Cheer Leader”, many people have found this out over the years suddenly finding out that they had “volunteered”. After a while Lenard Weaver stood down as Chairman as it conflicted with his position with Harwich Borough Council with Winifred stepping up to take his place, Sandy Webb also stood down and Andy was to become the Secretary. The general opinion of the Society was that Harwich Borough Council would welcome them as allies to fight for Harwich & Dovercourt, unfortunately this was just the opposite and many conflicts were to occur with The Society being labelled “The Lunatic Fringe” by one councillor! One of early battles was to save the buildings around the Humphrey Parson’s School in Kings Quay Street including The Electric Palace these were due to be demolished by the council. 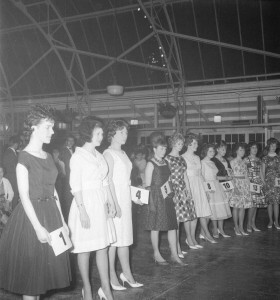 The Harwich Society won with the interjection of Gordon Miller of Kingston Polytechnic School and backed up by Newspaper articles and Television. Andy breathed a sigh of relief when Chris Strachan formed The Electric Palace Trust as this would have completely swamped the Society’s workforce. The Council retaliated by knocking down The Royal Hotel and the Fisherman’s Cottages. In the meanwhile the “Battle of The Redoubt” continued, Andy’s first day at the he was astounded at the dereliction within but set to work. Combustible items were burnt and other items including a whole car, which was cut up and with other scrap being taken to the local tip. After removing the undergrowth paving was found around the Parade Ground and the middle was tarmac that was removed and grassed One of the biggest problems was vandalism to the work being carried out but this was improved by the fitting of gates. 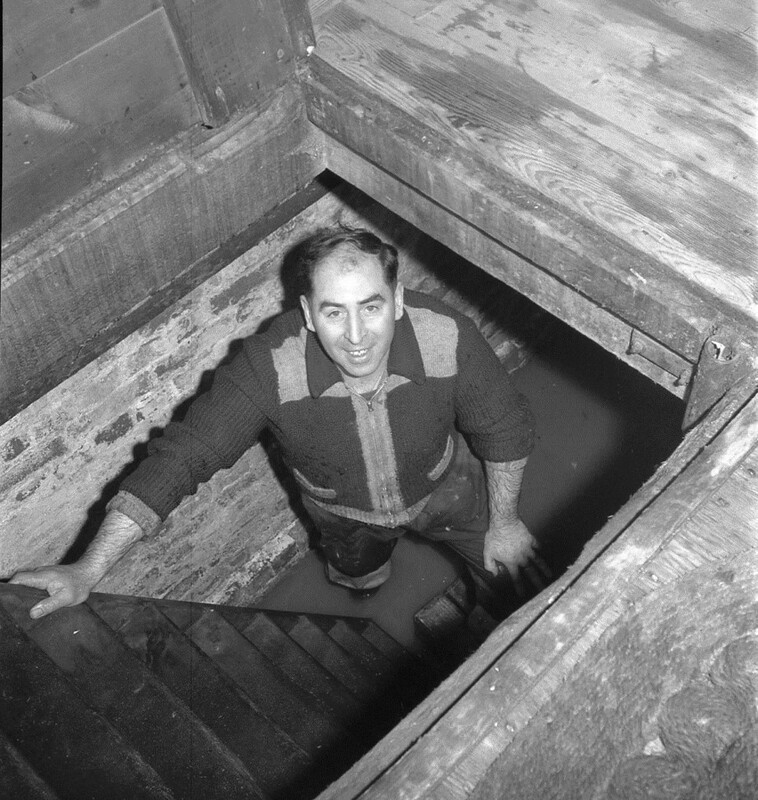 An electricity supply was connected by Ralph Knight and a trench dug to connect a water supply, before this water for cement was obtained from the well which was supplied by an underground stream. The original toilets were tried with a bucket of water and worked. Attention turned to the Moat with the undergrowth being cut down and burnt. Andy saw a JCB on Harwich beach and persuaded the Company to level the earth out, access to the moat was gained by driving the JCB across the mound of earth created by the spoil from the foundations of the Norwegian Houses in Harbour Crescent. To retrieve the JCB from the moat was more difficult as it had to be lifted out by a crane was supplied by Navyard Wharf. At this time the 9” RML gun was discovered and after an 11 hour operation was dragged to the drawbridge. A good friend of the Redoubt, Charles Trollop arranged for his military contacts to have the gun moved to its present position. The next problem for Andy and his team was the creation of The Maritime Museum in the Low Lighthouse, many artefacts were given by local people and HMS Ganges to give the Museum a good start and over the years the items are still coming in. It is an end of an era as all the original founders are no longer here but they leave a good legacy from an early membership of 60 to over 2000 today. 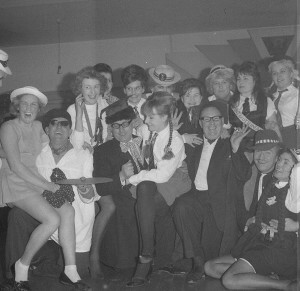 “Pummie” as he was known by the locals was one of the best known characters in the area, and will be especially remembered for his long-running boundary dispute with Harwich and Dovercourt Golf Club. 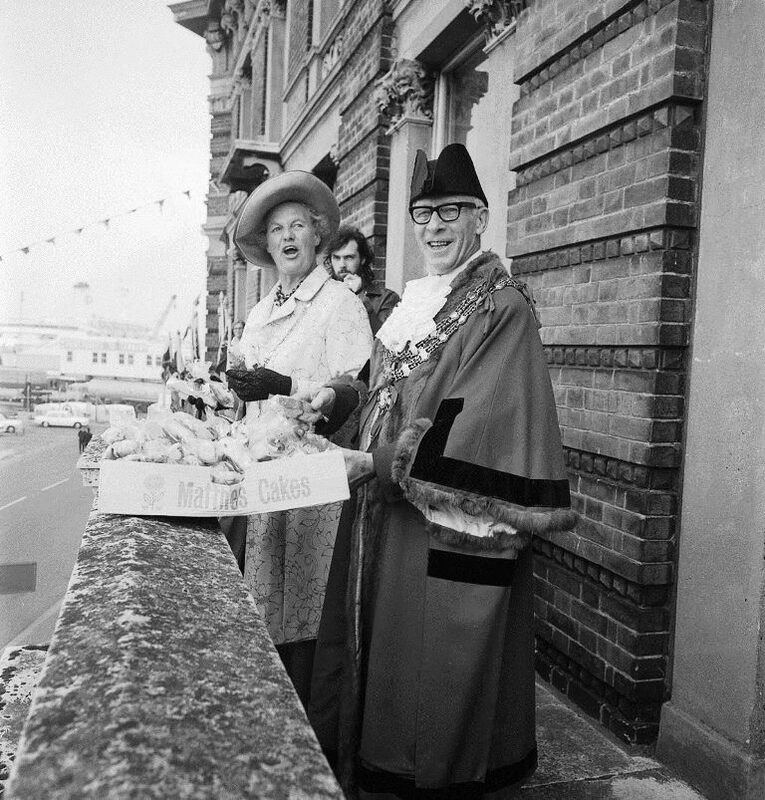 Born on the 30th December 1908 in 8 Church Street, Harwich, to parents Frederick John Rose and Florence Mary Lydia. The nickname was given to him by his grandfather Who was a stone mason hence the name “Pummie” Leonard Started his school life at Second Avenue Infants, then on to the Hill School followed by Harwich High School. 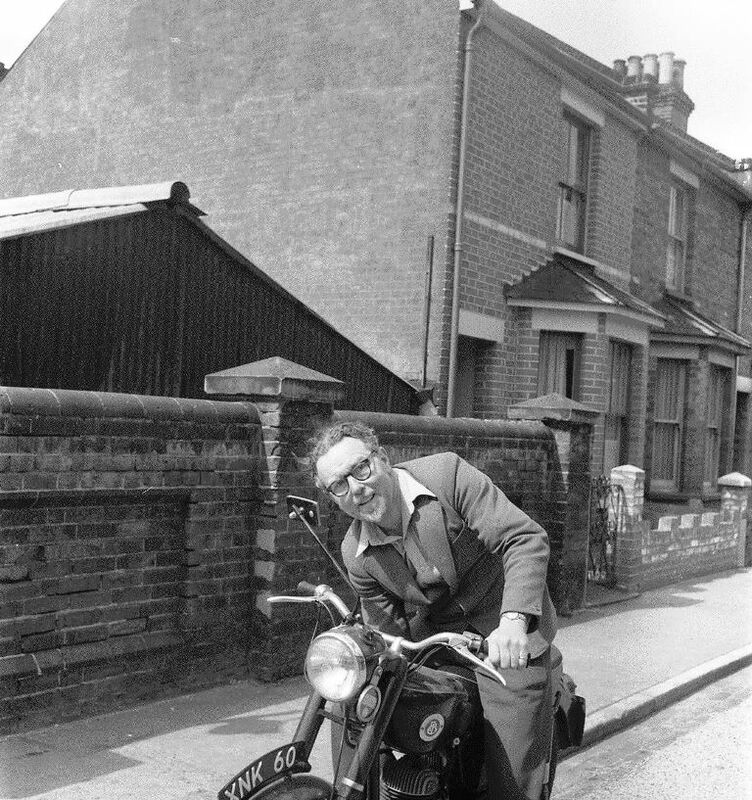 In Leonard F. Rose’s autobiography he tells of Old Harwich, his love of country and the sea”, his career as Chartered Surveyor, Estate Agent, Accountant, Insurance Broker… His love of animals, Motorcycles and cars. The book also gives an insight into his fight against Injustice and his lifelong tussle with “The Establishment”. One incident being, when I refused to run in a race on Sports Day. As punishment I was ordered to roll the cricket pitch, so I put Gordon Wood’s school cap under the roller to depress it into the turf. The result of this escapade was a visit to Herb Meteyard when I was given no time to put a notebook into the seat of my trousers. Arriving in his study, he said: Bend over young Rose and grasp the rail of the chair. I grasped this and ‘swish’ – I remember jumping so high that I looked out of the window onto the sports field! After six of the best I went to the class room to sit down, and jumped up with a yell as though I had sat on a red hot poker. Still, it was worth it, due to the sympathy I received from the girls. His business interests extended to War time work for the Army, Navy, and Air Force. Leonard Rose not only owned three farms, but was responsible for the Industrial and housing development of two of those in addition to his work in “The Great Flood” of 1953. Few people have attracted as much controversy and publicity in a lifelong tussle with the establishment as Leonard Rose. The self-styled man of the people was a charismatic and eccentric figure who was either loved or hated – but never ignored. A forceful and outspoken individual and a skilful debater, Mr Rose was gifted with a retentive memory, and rarely used notes at public inquiries and council meetings. To the end of his life he still fought what he perceived as the establishment’s injustice. Lighthouse Lil’ was the nickname of a very well-known local character who lived in the High lighthouse for over 25 years, from wartime to the late 1960’s. She was born Vera Ethel Closs in Ipswich on 15th January 1915. Her parents were Thomas Closs and his wife Harriet, nee Ablett, who married in Ipswich in 1912 and had 8 children, of who Vera was the 3rd born. The name Closs is of German origin, a corruption of Klaus, from Niklaus. It is likely her ancestors settled in East Anglia in the 18th century. Percy Warren was born in Harwich in 1913. He and Vera were married in 1940 and moved into the lighthouse towards the end of WW2. At some stage during the war, Vera gave birth to a baby boy but, sadly, he died shortly afterwards and she had no more children. 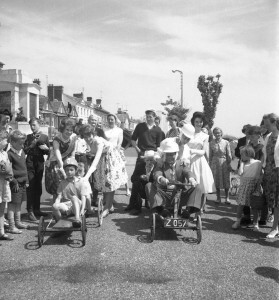 Understandably, this had a profound impact on Vera and she took to pushing an empty pram round the streets of old Harwich. Later on, she would push her pet cat around in the pram. It was around this time that Vera also took to the oldest profession in the world and began entertaining gentlemen at the lighthouse. During the war and for several years afterwards, there were many soldiers and sailors in the town and she was never short of customers. Vera was rehoused in a council flat in West Street in the late 1960s and the lighthouse fell into disrepair. 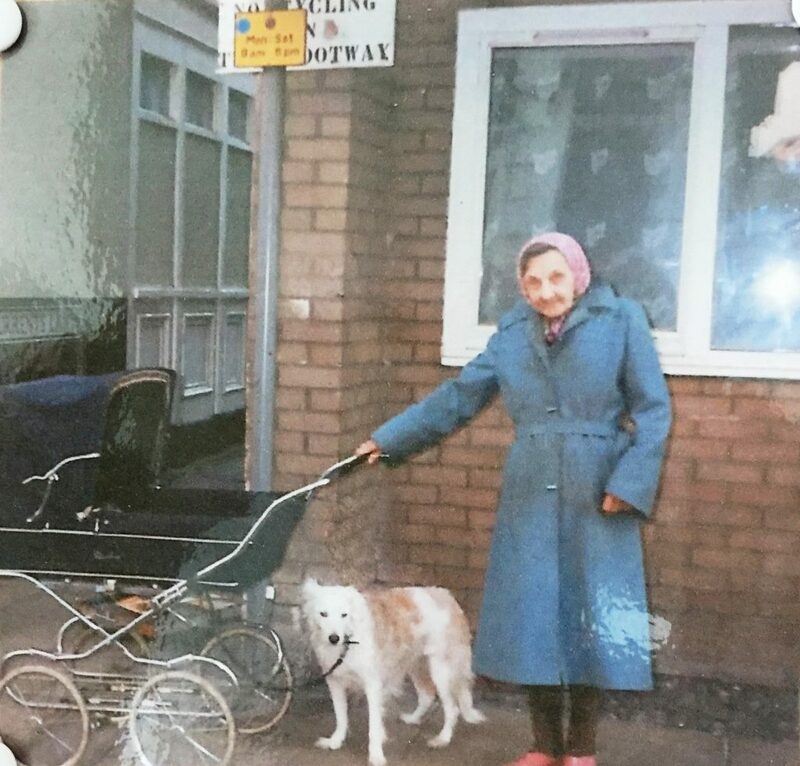 She pushed her cat around the town in the pram, accompanied by her faithful dog, until the end of her life. She died in 1998 aged 83.